It is just coming on dawn at Crow Dog’s place on the White River. I am trying to get some sleep after being up for the last two nights. I am laying on the frosty grass half tucked in under my Chevrolet Vega wrapped in a sleeping bag – but the sounds from the river are keeping me awake. The river is talking. And it seems to be talking to me… but I don’t understand. I growl about having to drive us home on no sleep, having driven all night from Lincoln to get us up to the Rosebud, ostensibly to talk about making a film about the Lakota after the Wounded Knee II trials, and then staying awake all through the next night to participate in the Native American Church ceremony, but I get up and walk back in. There, at my empty place in the circle waiting for me, sit the water drum, gourd rattle and eagle feather fan. I don’t know any of the songs or even any words in Lakota, which had been painfully clear all through the night, as the ceremony had progressed round and round the circle. I had been an altar boy growing up and this seemed quite a bit like the ritual of the Mass so I knew that I should be respectful – but I also knew I didn’t really belong here. And now, after I pass the paraphernalia to my left, the last round of drumming and singing is complete. The ritual items come to rest back at the crescent-shaped fireplace altar. Then the communion-like morning meal makes the rounds. Chunks of boiled meat, followed by corn and fruit with a bucket of water and a dipper coming last. 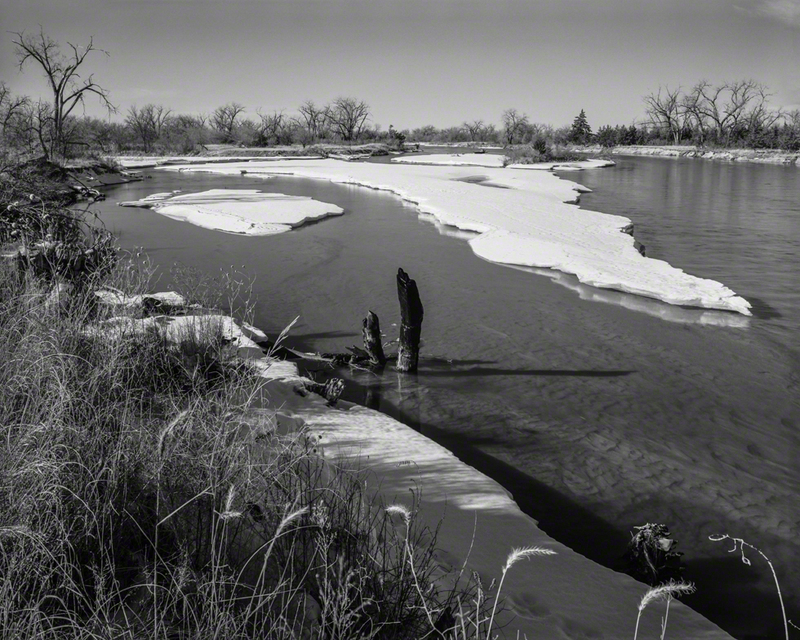 The Platte River near the Plum Creek Massacre Site – east of Lexington, February. 1992. What I learned on that crisp spring morning set my life’s direction for years to come. I couldn’t really expect to be able to tell other peoples’ stories well if I was clueless about my own. A couple of years from then I took off a year from my job. Katherine Anne and I took our son, one-year-old Sean Patrick, and traveled back to Indiana where I was born and raised to look for family history. Then we went to Ireland to try to find out who we were before we became Americans and what our ancestors’ paths had been to this continent. I saw how the weather worked in the west of Ireland on the Dingle Peninsula where my mother Eileen Margaret Scanlon Farrell’s people had come from. There periods of sunshine were frequently punctuated by surprise rainstorms that blew in from the ocean. Then just as suddenly, all returned to calm. This unpredictable cycle of sun and storm seemed to mirror or perhaps even gave rise to the Irish personality and it revealed to me a new understanding about how I navigated the world emotionally – and that my tendency to volatility perhaps had ancient roots. And I learned that the Irish Celts once practiced a nature-based religion before adopting Christianity. They erected standing stones in places of natural beauty and spiritual significance. And they had important spiritual connections with, and made pilgrimages and offerings to, places of water – springs and brooks that were the homes of “genius loci” – the spirit dwelling in that place. 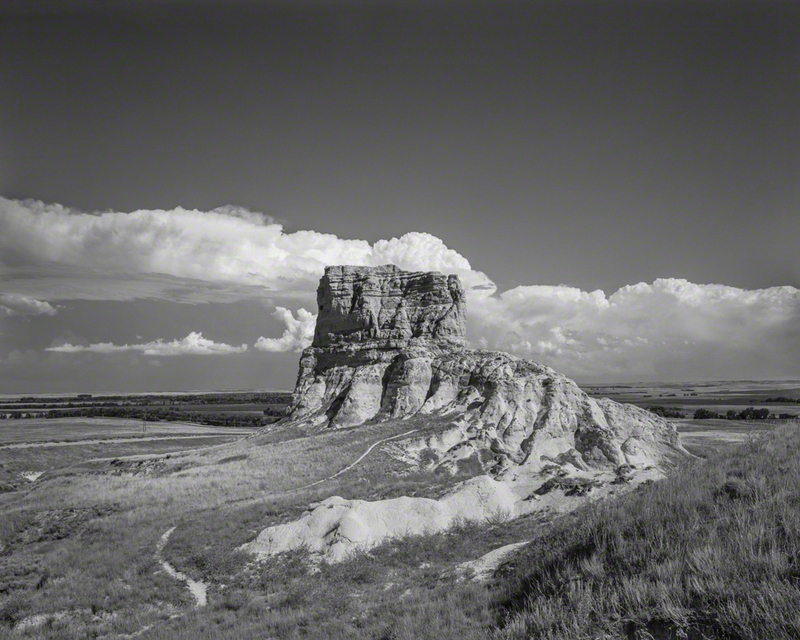 When we returned to Lincoln and my job as a filmmaker I began to make stories about the history and culture of Nebraska and the Great Plains. And as our little family grew from three to five over the next decade we began making spring road trips to the central Platte region to see the cranes, geese and other waterfowl and shorebirds that made the annual migration south to north. Although this great migration has been occurring for millennia, today this vast throng of water loving birds that require shallow river channels with bare sandbars for safe overnight roosting, are all crowded onto a narrow strip of river. 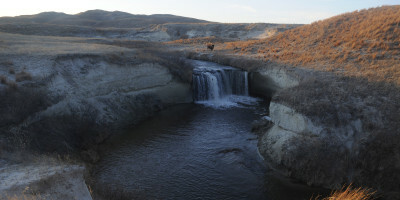 And that stretch is highly managed to resemble the habitat that once existed throughout the river’s length across the prairie before the string of big dams and reservoirs altered the river so profoundly in the early to middle twentieth century. 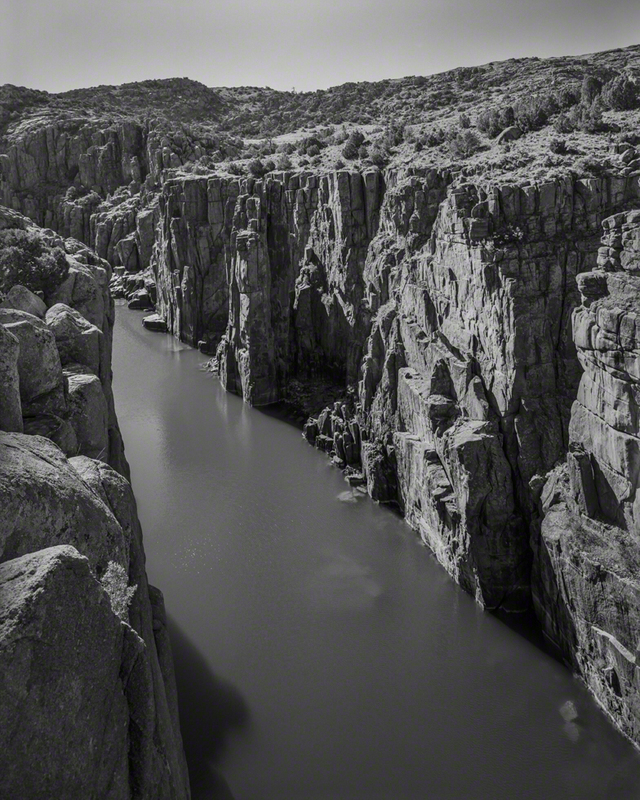 As the ‘80s were drawing to a close there was a battle brewing over the use of the North Platte River. 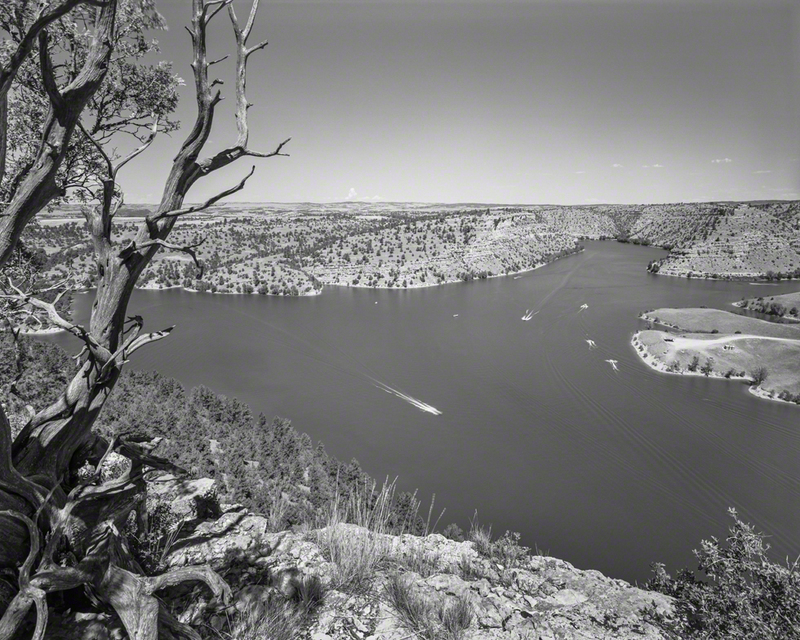 Nebraska’s largest lake had been formed when that fork of the river was dammed for irrigation and power generation. 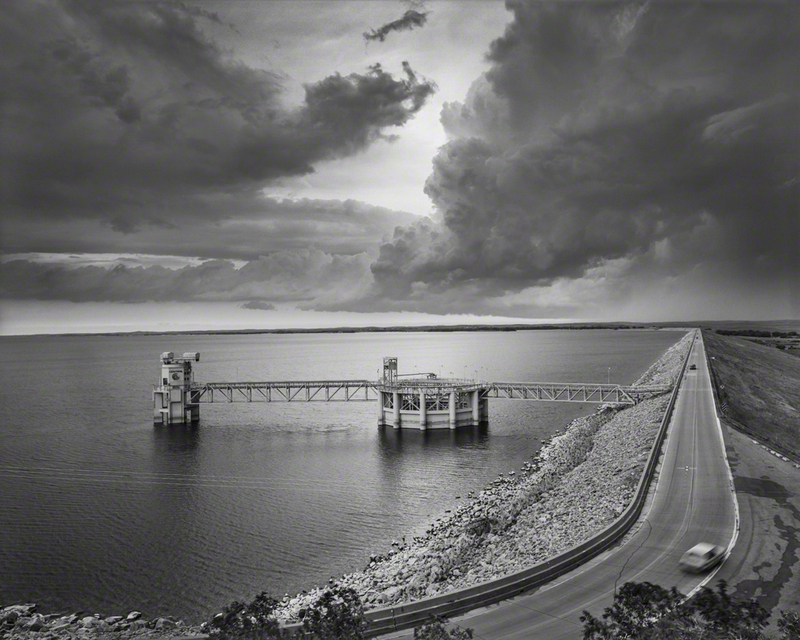 Kingsley Dam and Lake McConaughy were completed in 1941. 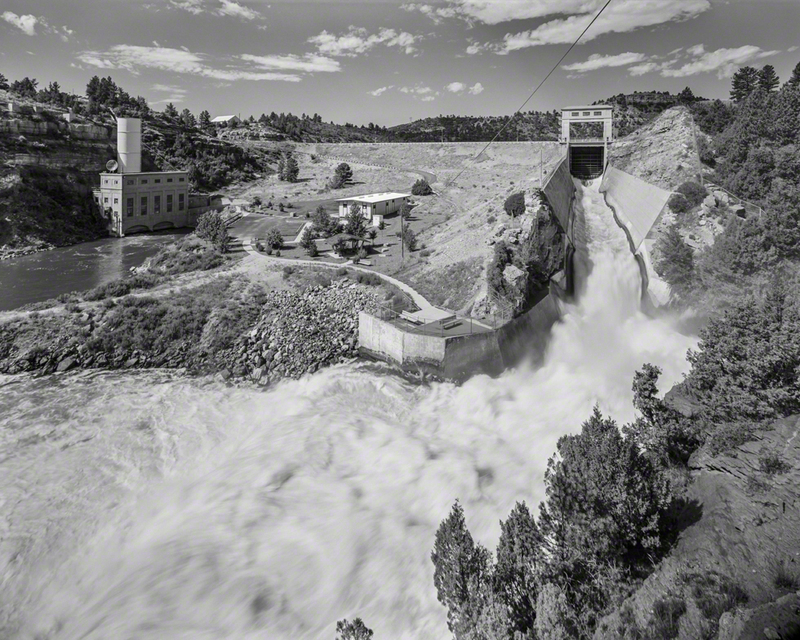 And in 1991 the dam would be up for its fifty-year relicensing under the Federal Energy Regulatory Commission. Because federally endangered species, particularly the whooping crane, depended on the Platte, environmentalists, the states of Nebraska, Wyoming, and Colorado along with the Federal Government were poised for a protracted battle over the river’s future. 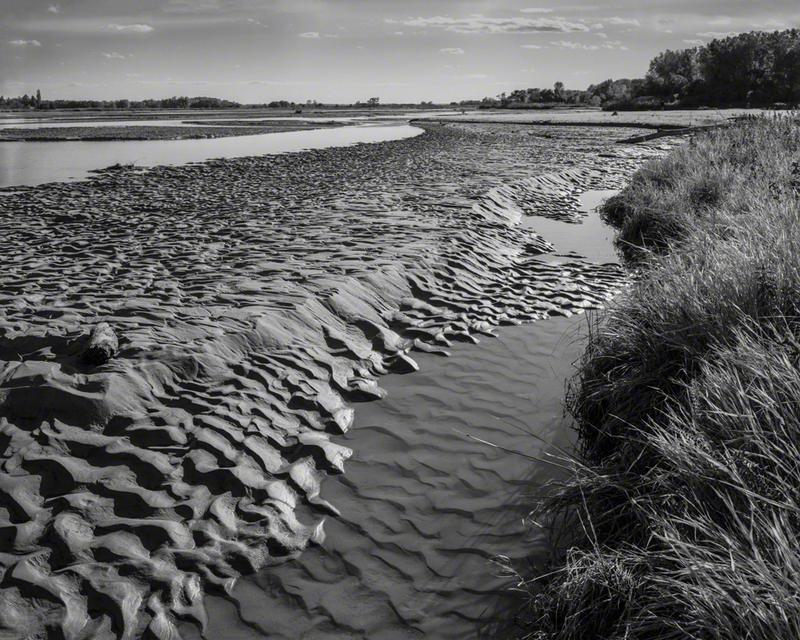 The Platte River at Low Water. 1990. The Platte River near the Plum Creek Massacre Site - east of Lexington, February. 1992. 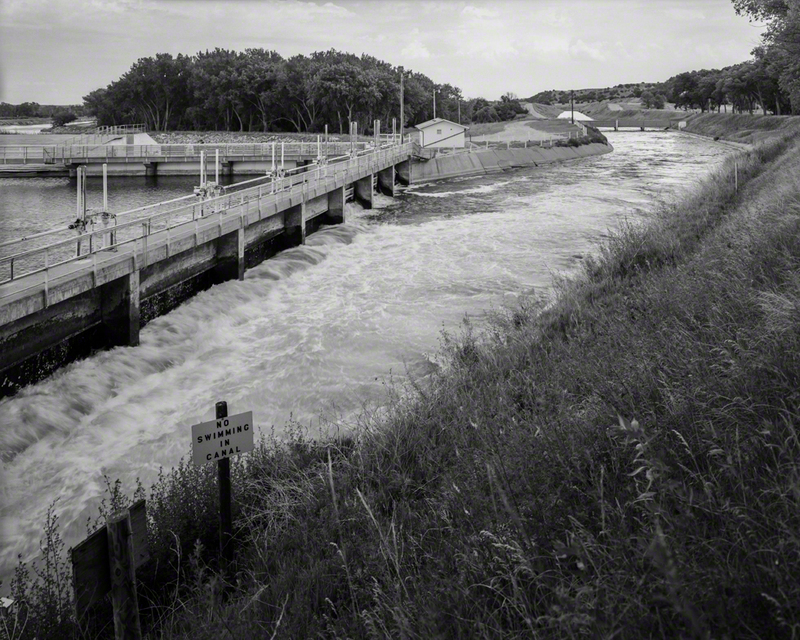 Central Nebraska Public Power and Irrigation District’s Supply Canal at Lake Ogallala. 1994. 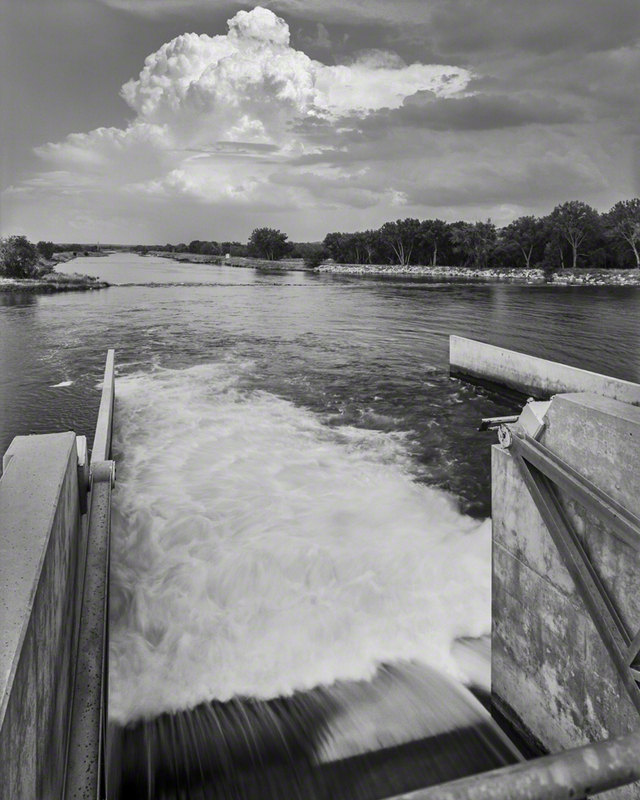 North Platte River Spillway, below Lake Ogallala - Nebraska. 1994. 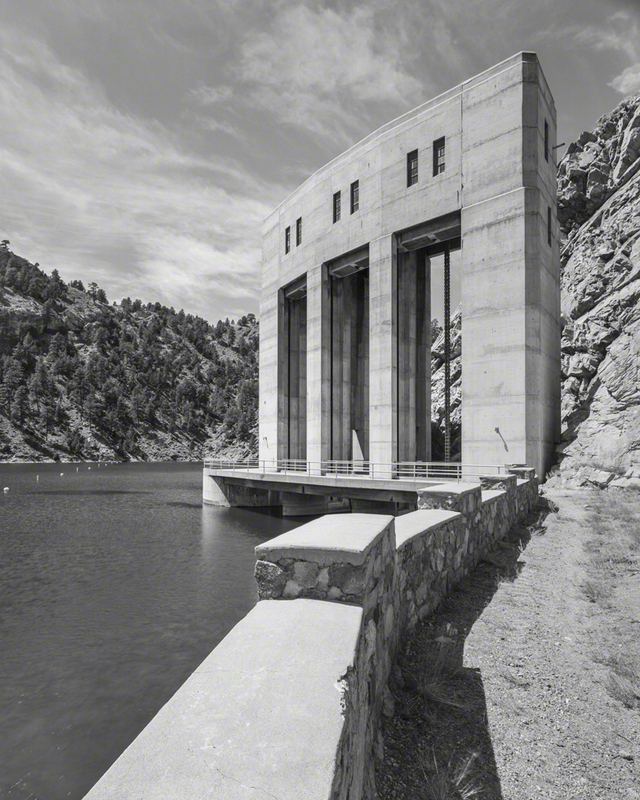 Kingsley Dam and Lake C.W. 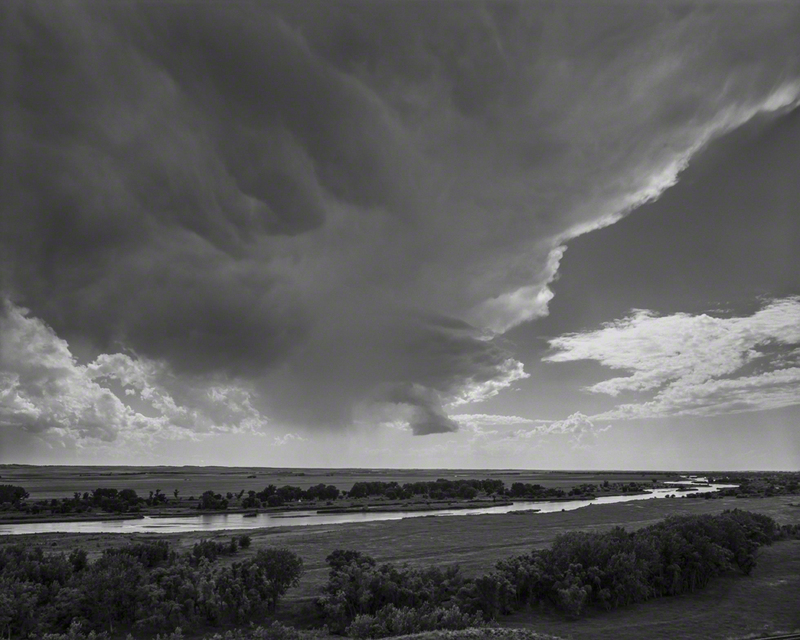 McConaughy on the North Platte River, Nebraska. 1994. 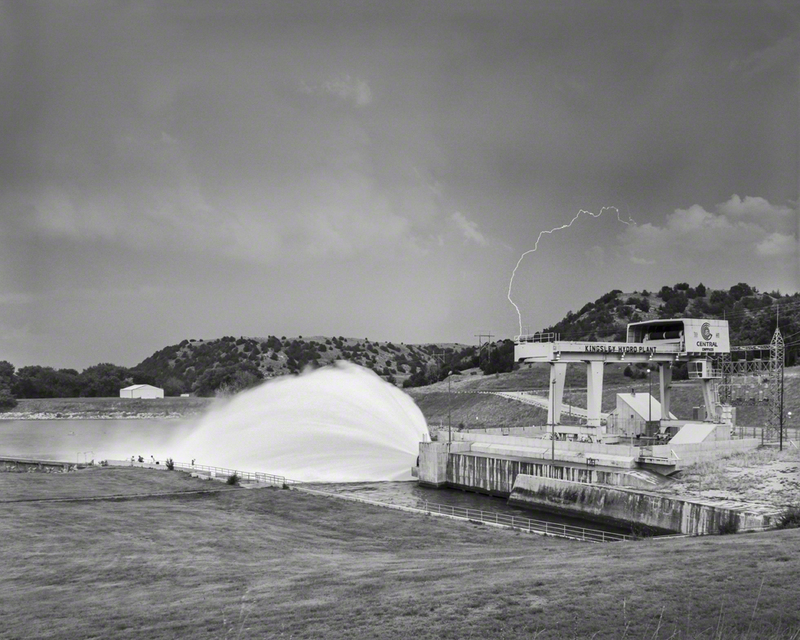 Lightning Strike at the Power Plant below Kingsley Dam on the North Platte River, Nebraska. 1994. The North Platte Valley from the Narcissa Whitman Overlook, east of Chimney Rock. 1993. Courthouse and Jail Rocks from a Fence Line. 1996. Jail Rock - Late afternoon in July. 1993. Chimney Rock from the East across the Ravine. 1994. 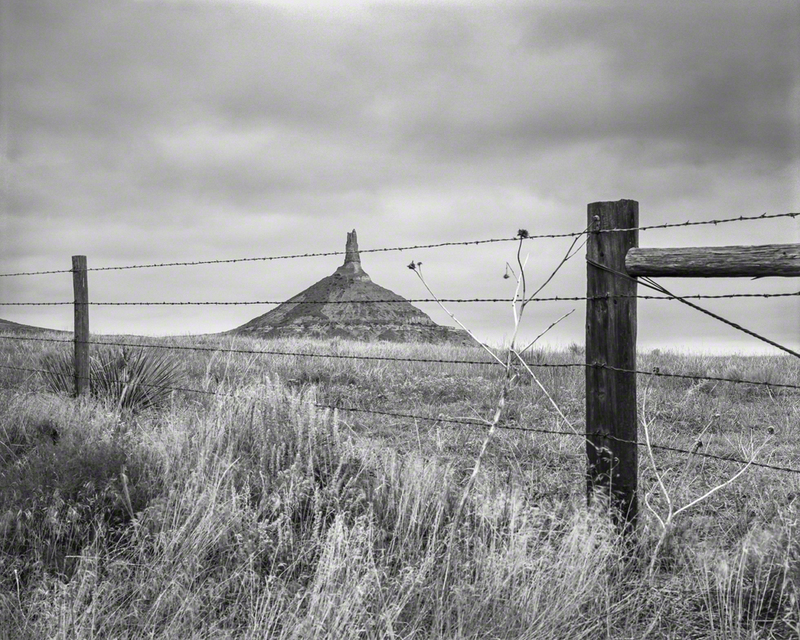 Chimney Rock through a Barb Wire Fence. 1998. 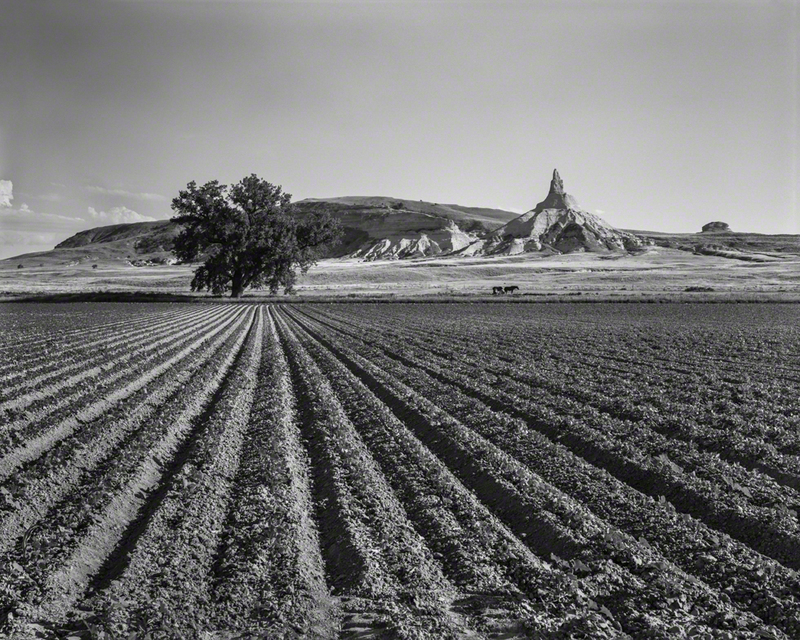 Chimney Rock - From the South across an Irrigated Beet Field - July. 1993. 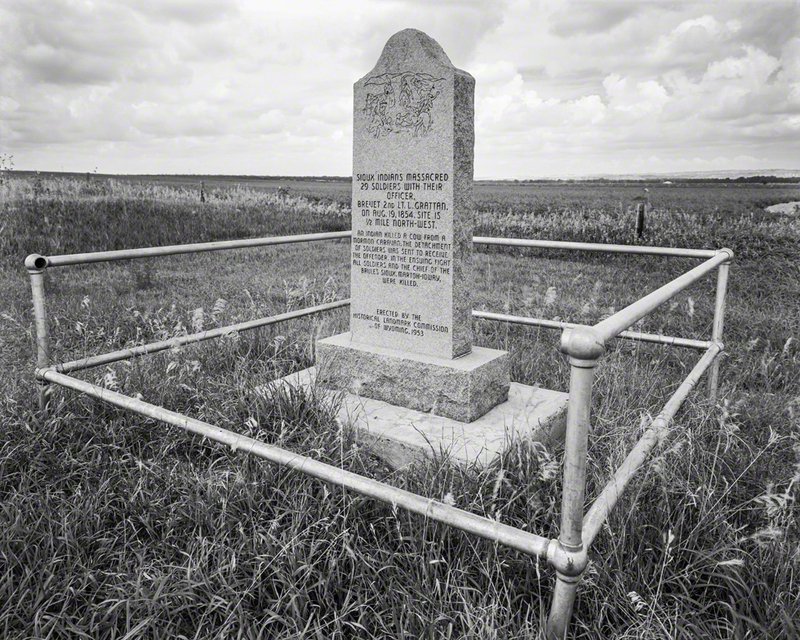 Monument to the Grattan Fight - Where the Great Sioux Wars Began. 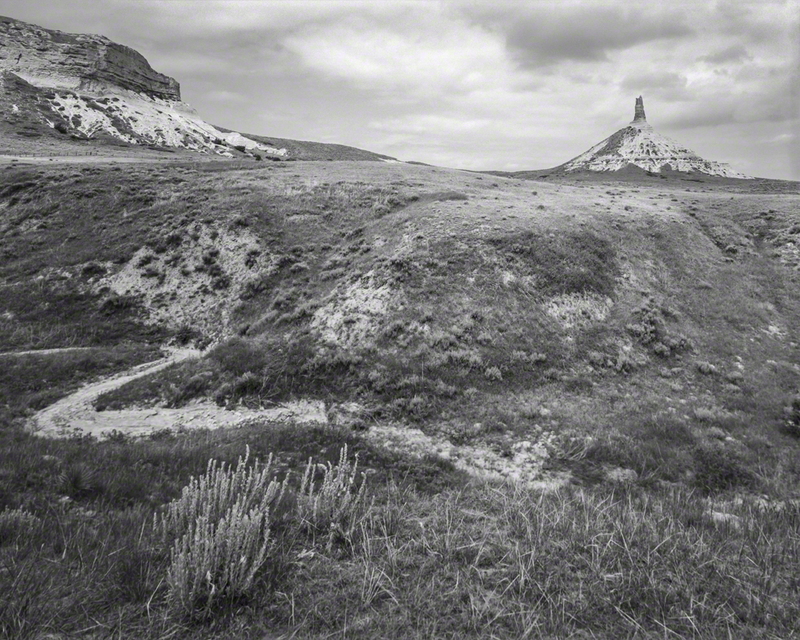 On the Oregon Trail - Lingle, Wyo. 1997. 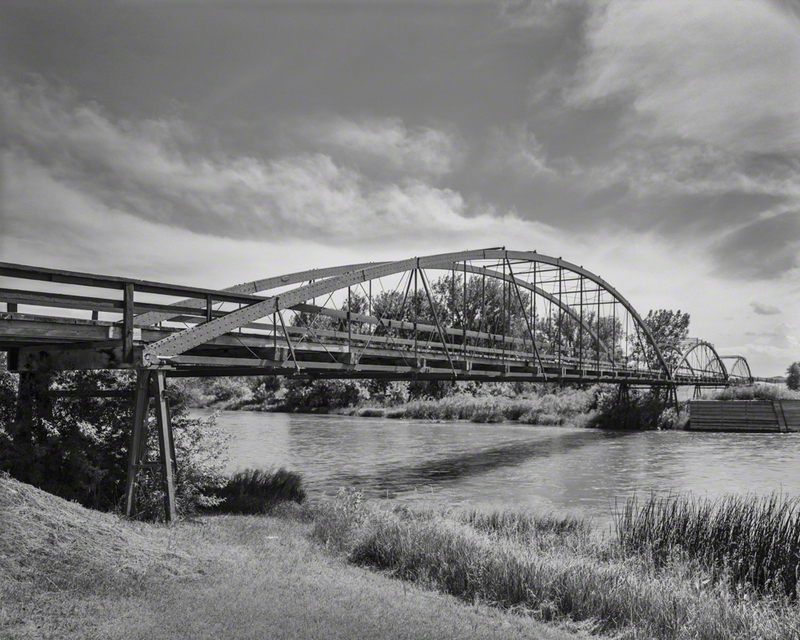 The Bow Truss Bridge across the North Platte at Fort Laramie. 1994. 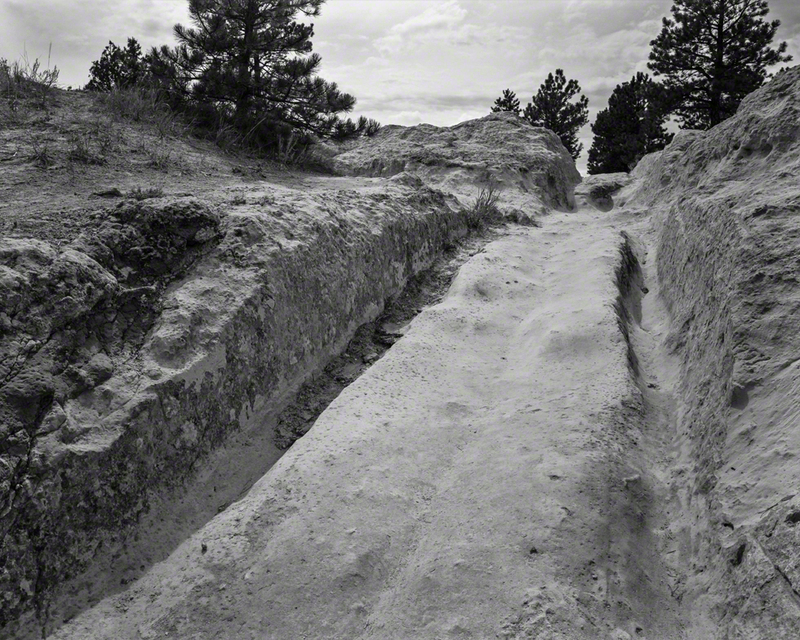 Ruts in the Limestone Hills Made by 19th Century Wagon Wheels on the Oregon Trail, Platte Co., Wyo. 1997. 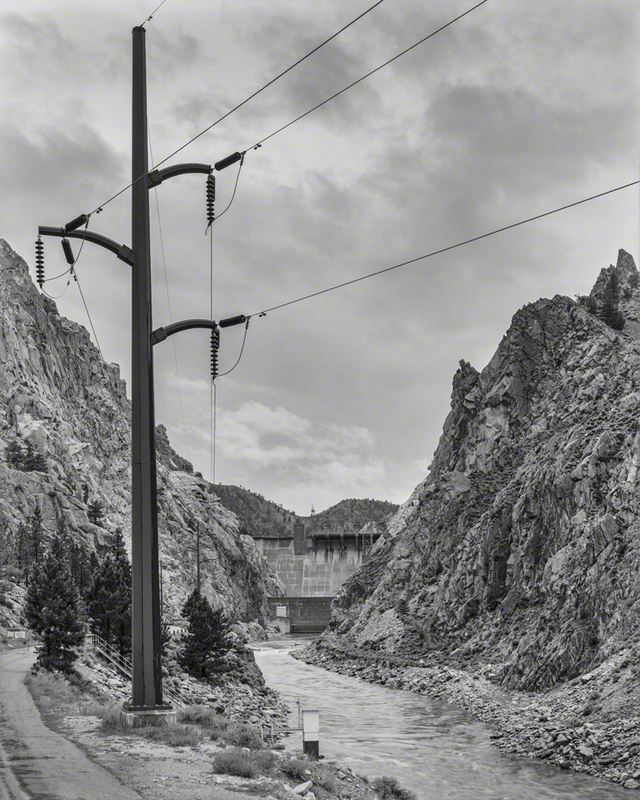 Guernsey Spillway & Power Plant, Platte Co., Wyoming. 1997. 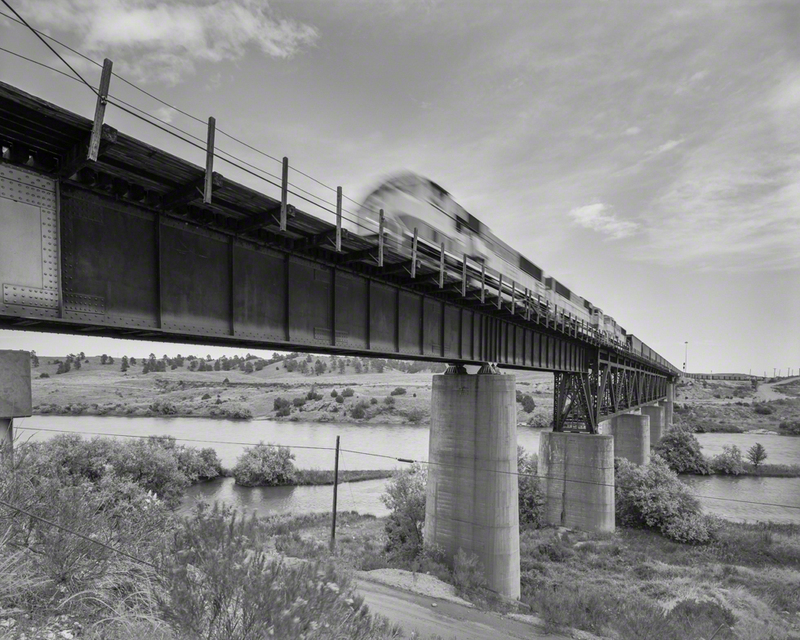 Union Pacific Coal Train Crossing the North Platte Near Guernsey. 1998. 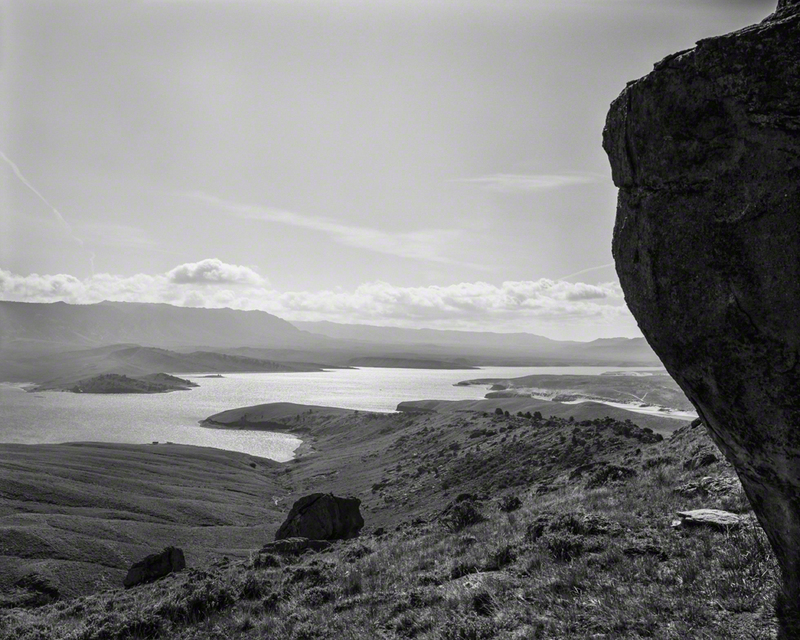 Across Glendo Dam and Reservoir to Laramie Peak. 2001. 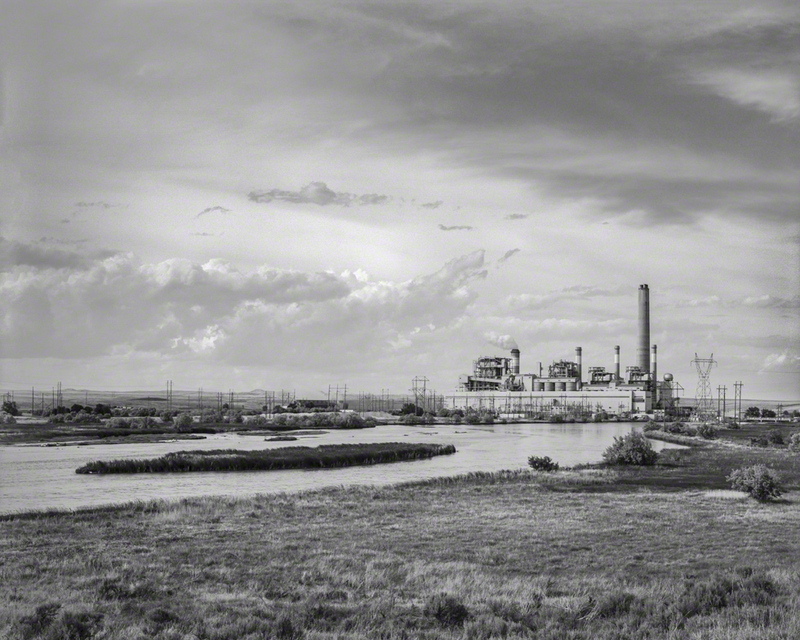 Glendo Power Plant on the North Platte River, Wyoming. 1998. 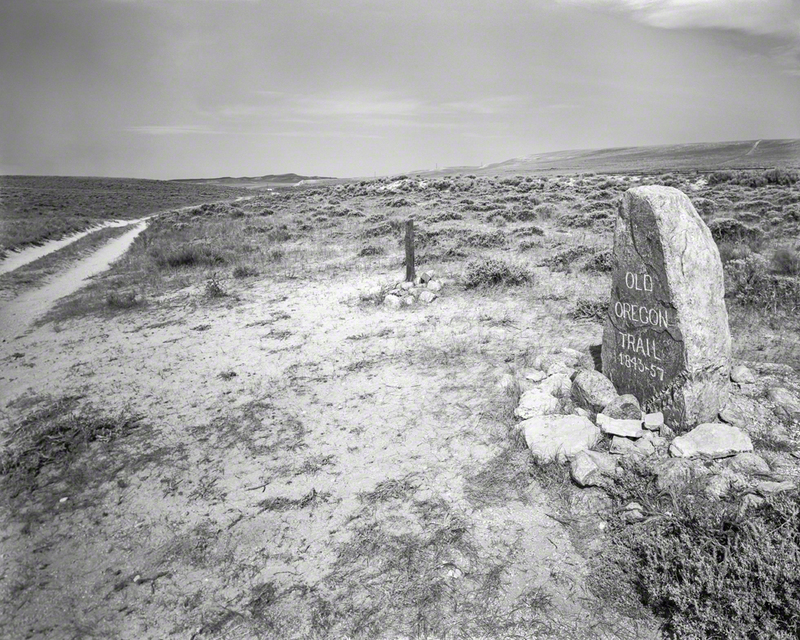 The Emigrant Grave of Alvah Unthank, d. July 2, 1850; The Dave Johnston Power Plant, Glen Rock, Wyo. 1997. 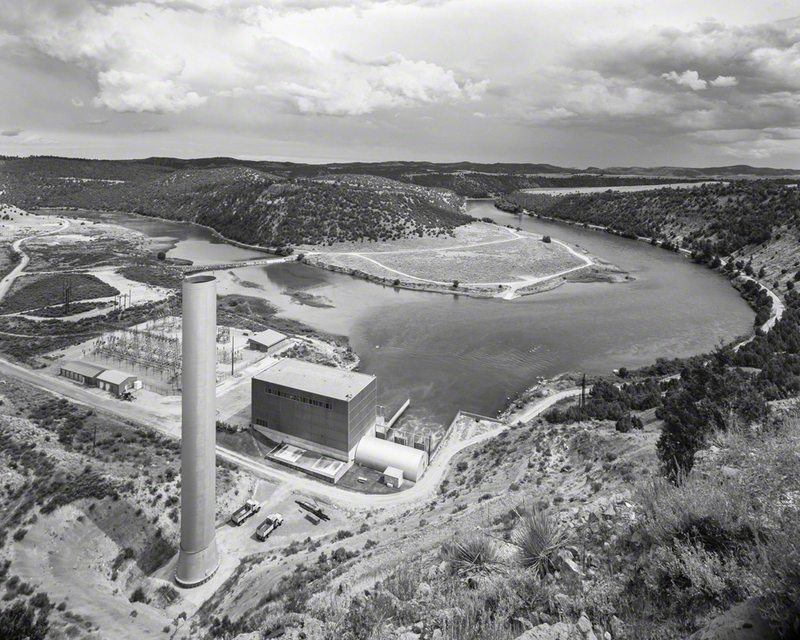 The Dave Johnston Power Plant, Glen Rock, Wyo. 1994. 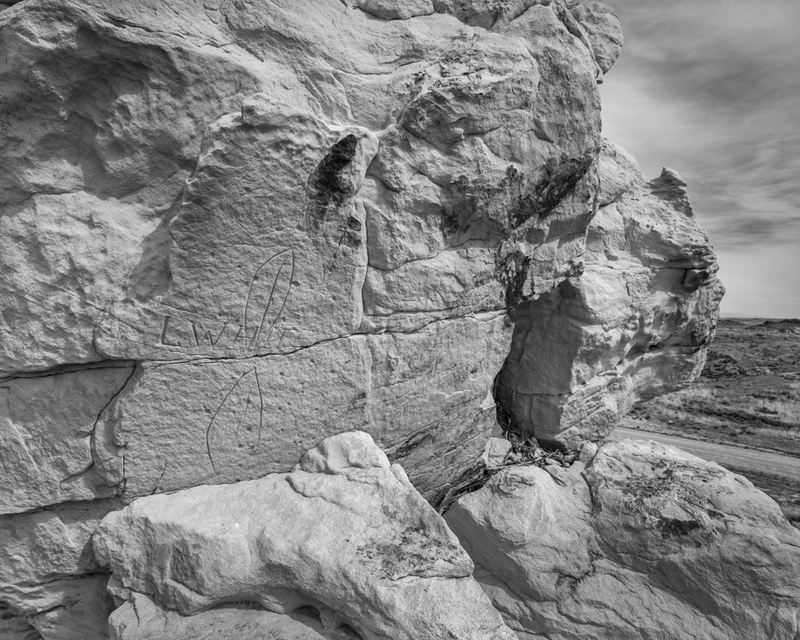 Defaced Indian Petroglyphs at Devil’s Backbone on the Oregon Trail, Wyoming. 1999. I decided to make a documentary about the role the Platte and North Platte rivers had played in our nation’s history and ending with questions about the future. 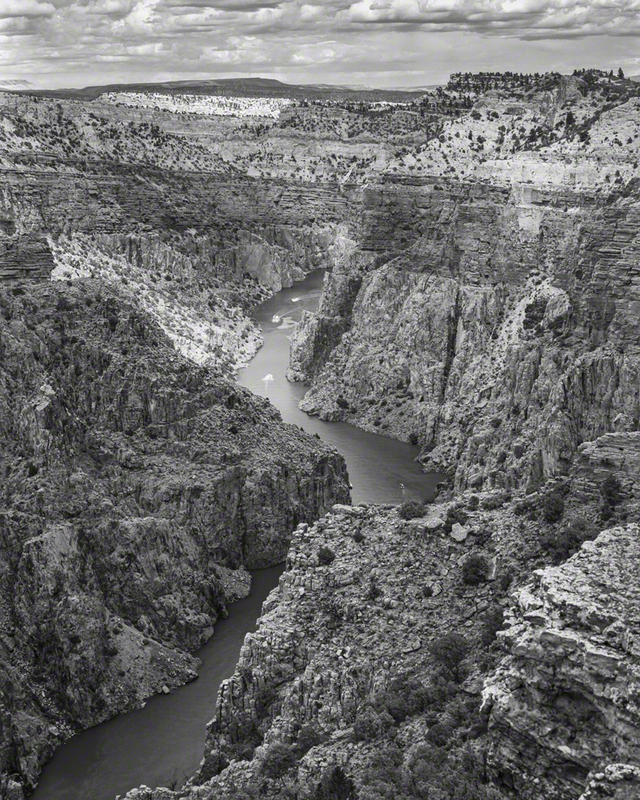 As most know, the early 19th century fur trade and later the Oregon, California and Mormon Trails depended on the route up the Platte, North Platte and its tributary, the Sweetwater, that gentle upstream path to the Continental Divide at South Pass that allowed Euro-Americans to migrate east to west across the mountains and gain control of the continent. Irrigation had started early where trails converged at Fort Kearny in the 1850s and was followed during the next half-century by small-scale diversions and irrigation projects as the Native peoples – the Pawnee, Lakota, Cheyenne, and Arapaho – lost their lands and the river valley was taken over and settled by farmers, cattlemen and townspeople. 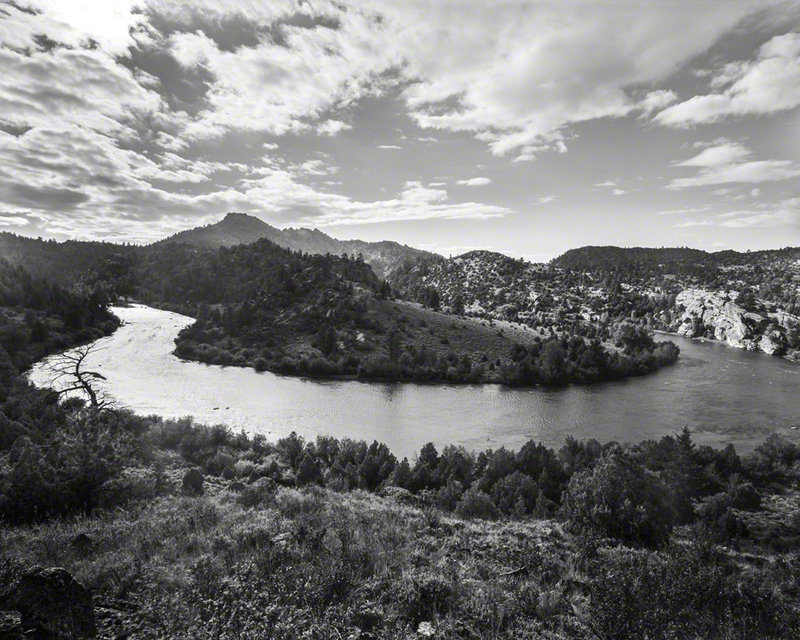 Then in 1909, the Platte River was altered profoundly and fundamentally when Pathfinder Dam and Reservoir was completed just below the confluence of the North Platte and the Sweetwater in Wyoming. 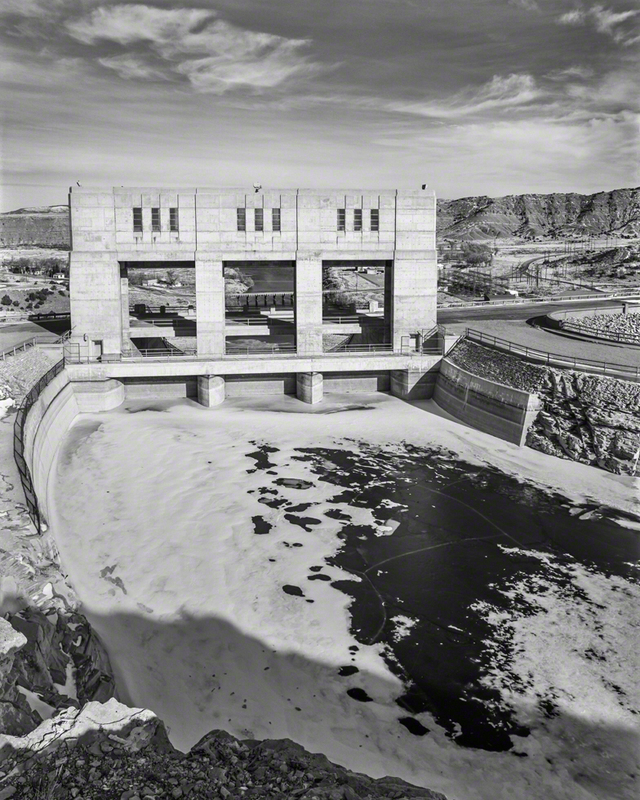 It was one of the first federal scale projects under what would later become the Bureau of Reclamation. It was called the North Platte Project. The natural flows from the Sweetwater and North Platte’s high country spring snowmelt were held back and diverted during the dry summer months into a network of canals to allow row crop agriculture to flourish in an arid region. 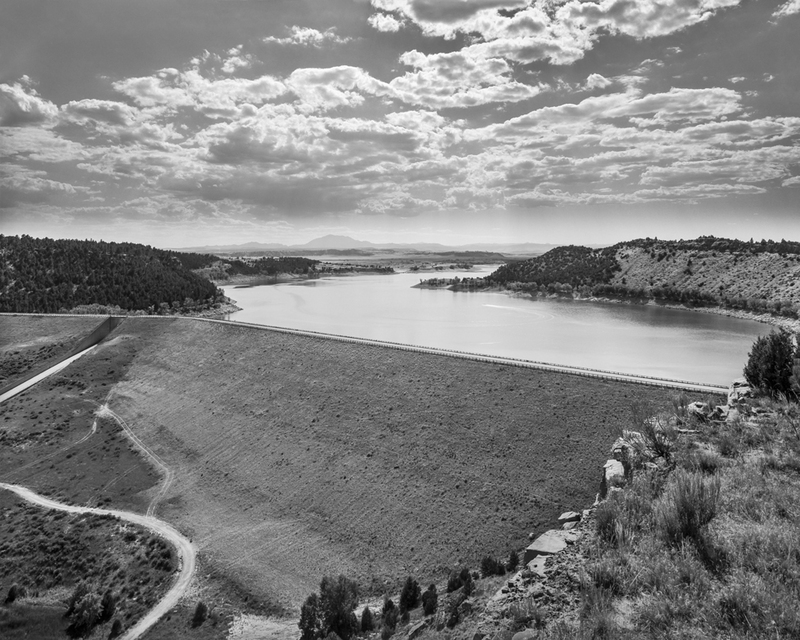 Western Nebraska’s sugar beet and dry bean industries and the communities of farmers and townsfolk that came to build Scottsbluff, Gering, and Mitchell all were made possible because of irrigation water and the North Platte Project canals. In 1989 we began producing our documentary. We visited all the major impoundments up the North Platte. When we went to Pathfinder I expected to be angry or sad since I knew that the natural river had ceased to be once that dam was put in place. 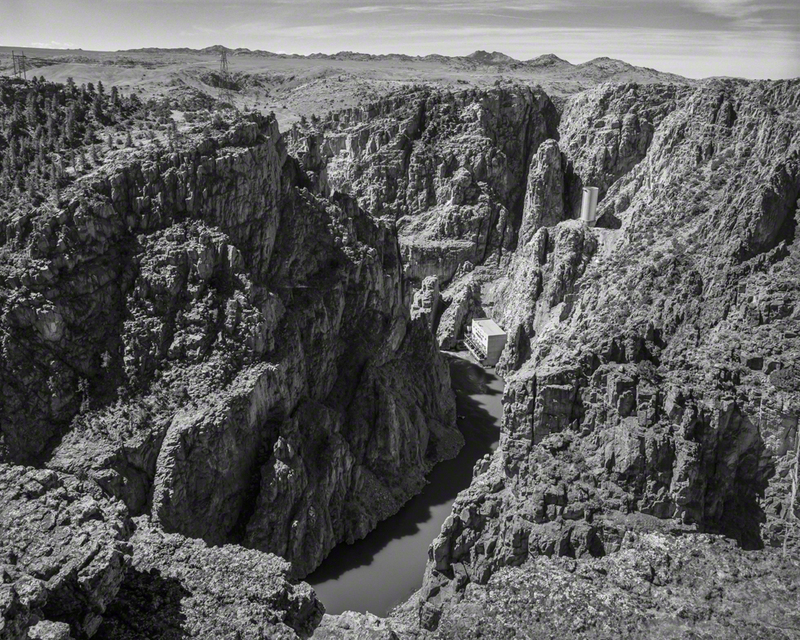 But as we rounded the bend and crossed the bridge that spans Fremont Canyon just below the dam and then came on the dam in late summer afternoon light I couldn’t help but react with awe. Here was a massive structure built from granite blocks quarried on site and muscled into place down into the gorge using the same basic tools and methods that were used in the Middle Ages to build the cathedrals that rose above the cities of Europe. My paternal Irish immigrant ancestor Dominick Farrell had worked stone helping to build railroad right of way abutments, culverts and bridges across Pennsylvania, Ohio, and into Indiana. My father, John Vincent (Vince), and grandfather, Michael Henry (Mike), had both been gravestone makers. I knew what it was like to work granite. And I wasn’t surprised to learn that a few men died building Pathfinder. So I was brought up short. I decided then and there that I wanted to do something more personal, without a film crew in tow, and to take my time to experience the complexity of this river system and all that we have done to it, how we depend on it, what we ask of it and to reflect on what all of these seemingly conflicting stories mean one to another. We finished our documentary, The Platte River Road, and in 1991 it won the National Cowboy Hall of Fame award for best doc of the year. Meanwhile, I invested in a large format camera that shot 4”x5” negatives and would yield very high-quality photographic prints. 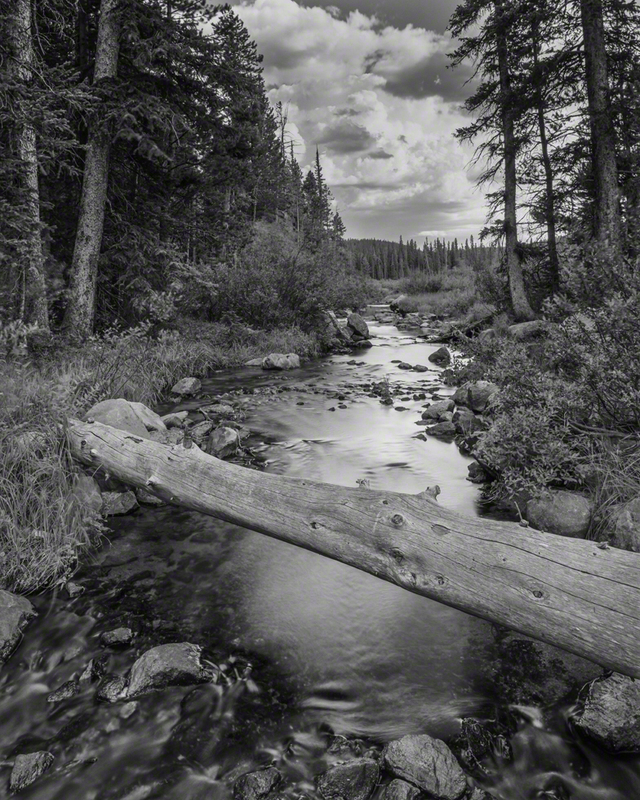 Beginning in the early ‘90s I started making one to two-week trips upriver to make photos and camp out. For the first few years, I took my middle boy, Seamus Owen, along. 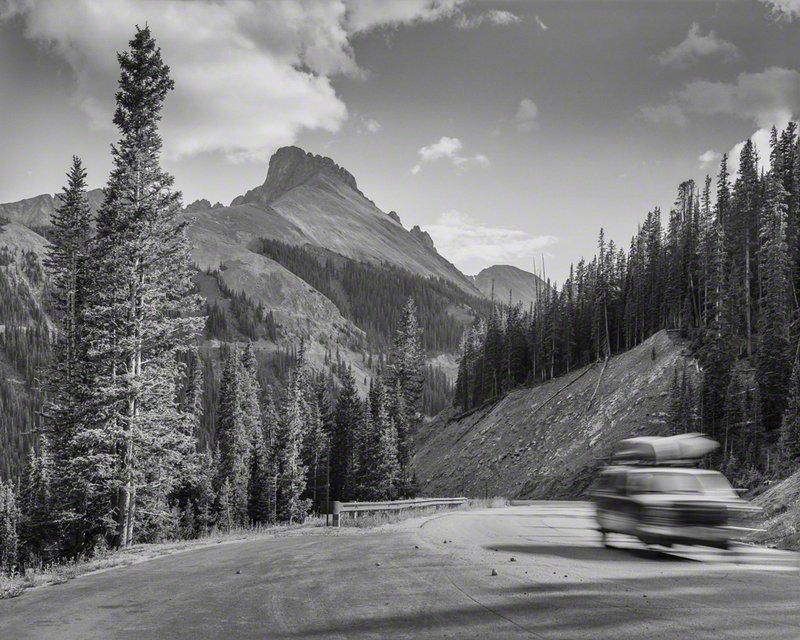 Owen read the maps, helped make camp and learned to drive on the Forest Service mountain roads near the headwaters. And he threw a lot of rocks into the river as I fussed with the camera. 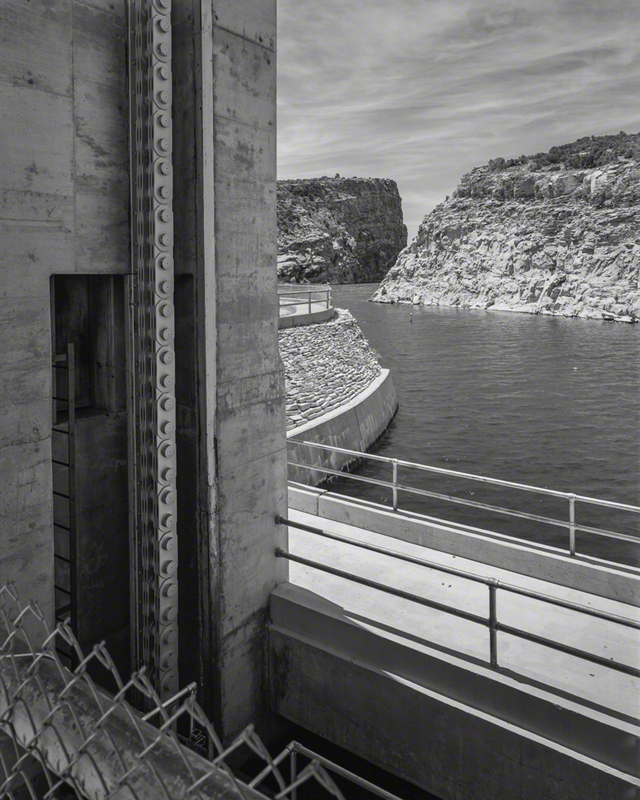 From the Gatehouse at Alcova Dam on the North Platte River. 1995. 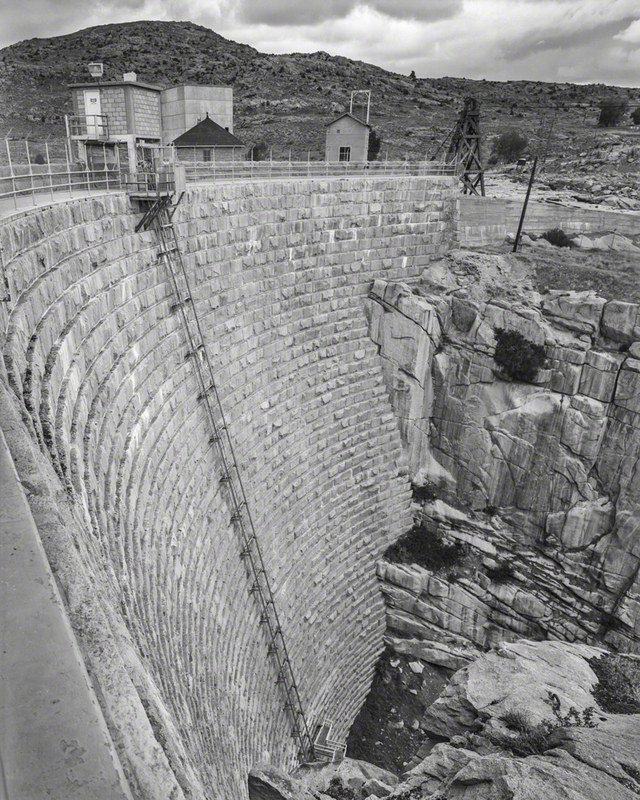 Alcova Reservoir from the Dam in Winter. 1997. 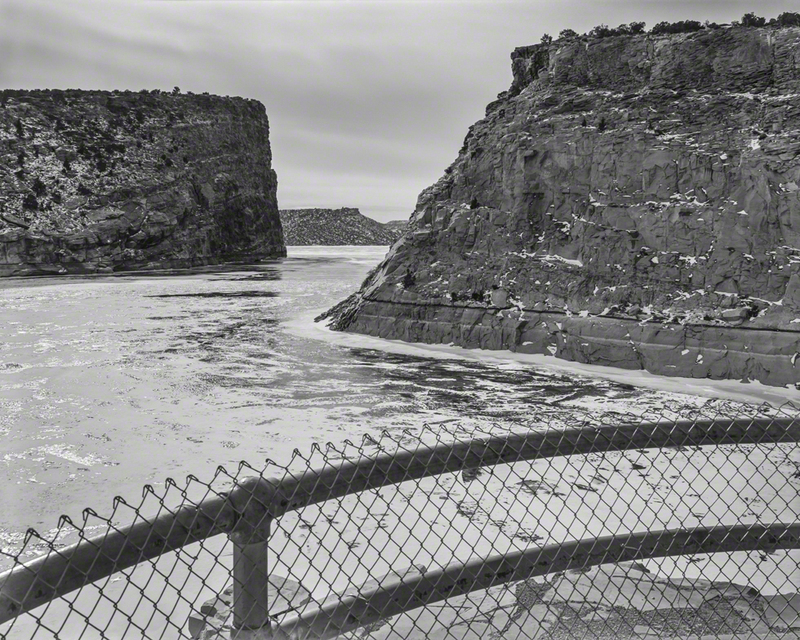 Alcova Dam Headgate, Wyoming in Winter. 1997. 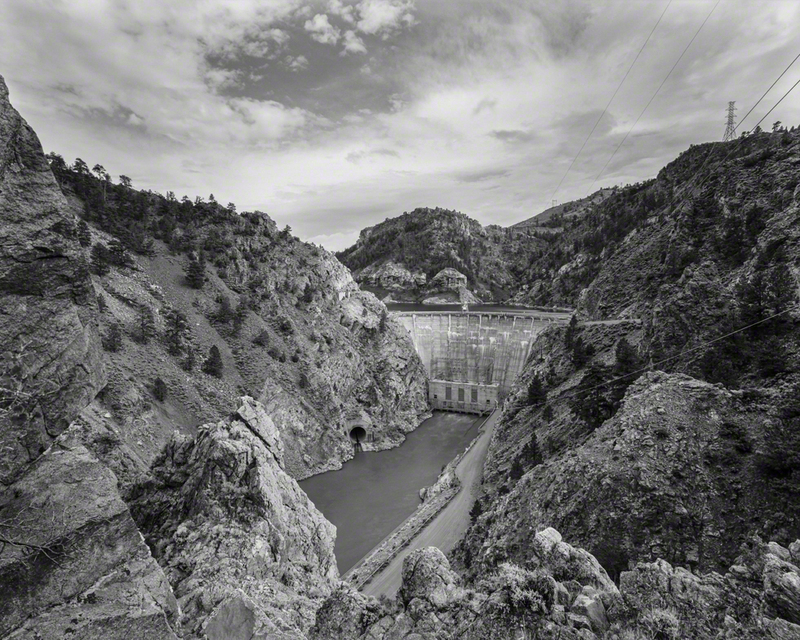 Pathfinder Dam on the North Platte - Natrona County, Wyo. Winter, 1997. Ice Buildup Behind Pathfinder Dam. Winter. 1997. 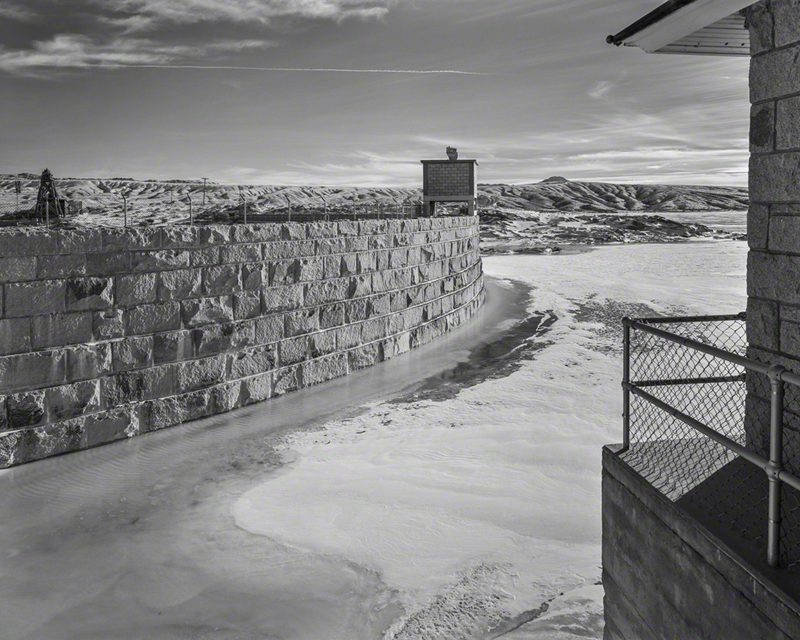 C/U Pathfinder Dam on the North Platte - Natrona County, Wyo. 1994. Construction Gear at Pathfinder. 1994. 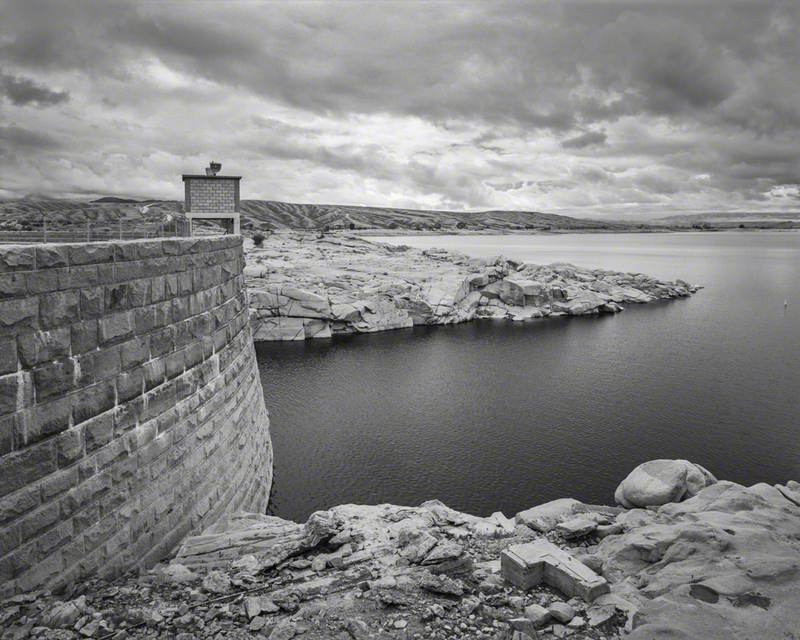 Pathfinder Dam and Reservoir on the North Platte River, Natrona County, Wyo. 1994. 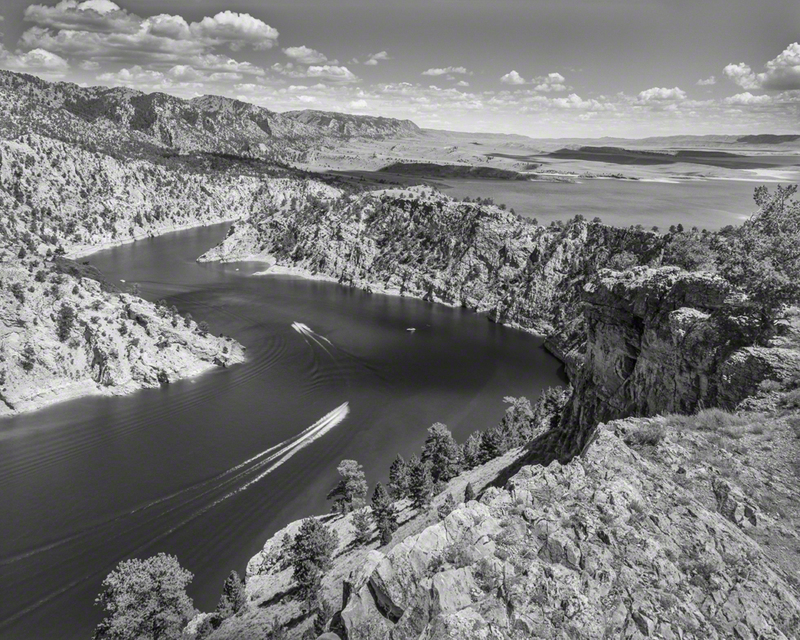 Pathfinder Reservoir on the North Platte River, Natrona County, Wyo. 1994. 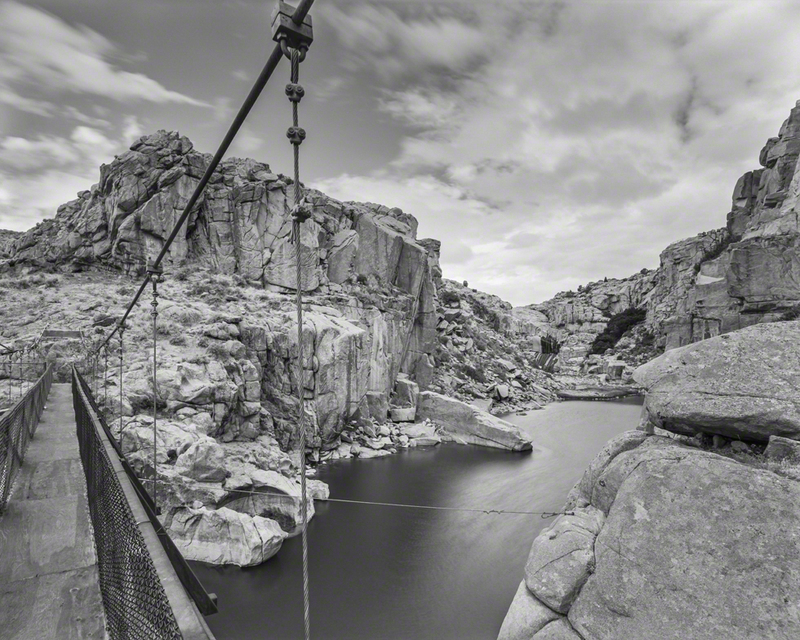 Cable Footbridge below Pathfinder Dam, North Platte River. 1998. 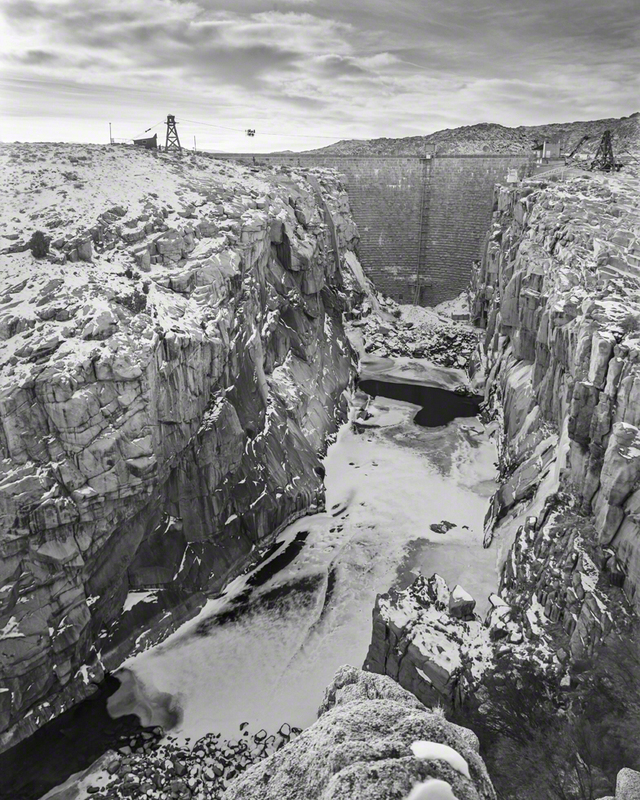 Pathfinder Dam and Fremont Canyon on the North Platte River, Wyoming. 1997. Down in Fremont Canyon below Pathfinder Dam. 1998. 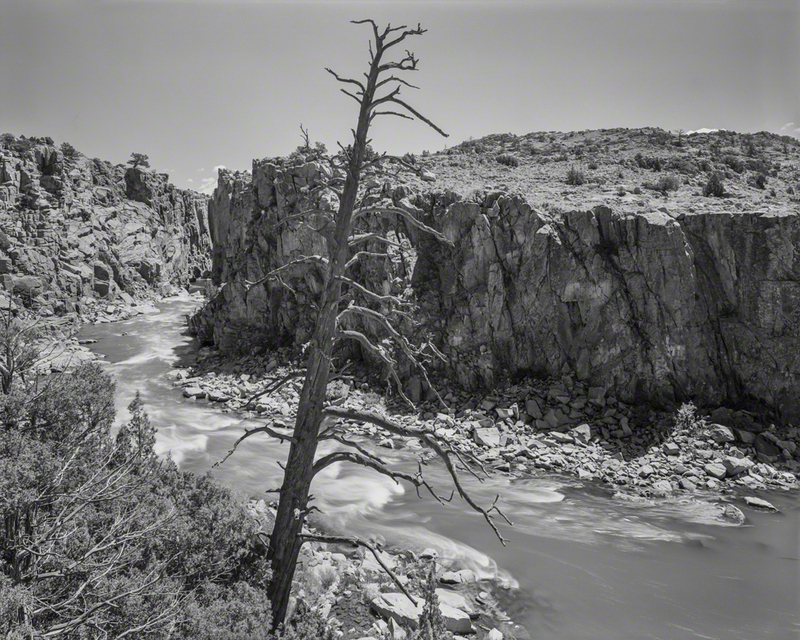 Fremont Canyon with Dead Pine - Summer Water Release. 1997. 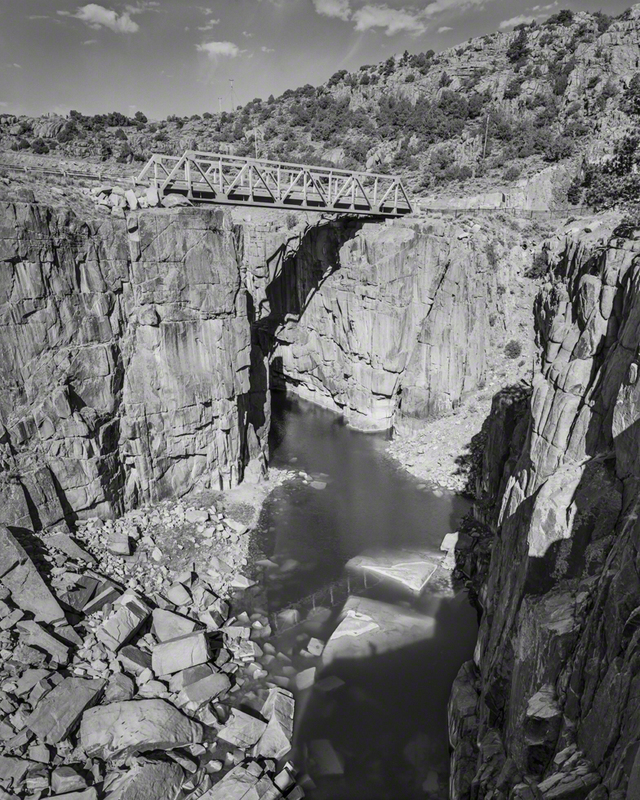 Steel Bridge over Fremont Canyon - North Platte River, Wyoming. 1994. 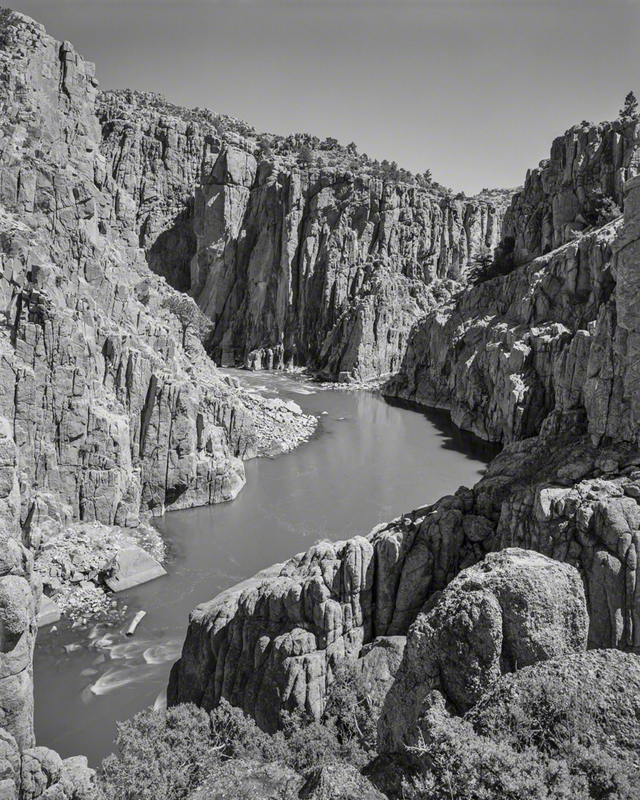 Fremont Canyon below Pathfinder Dam, North Platte River. 1994. 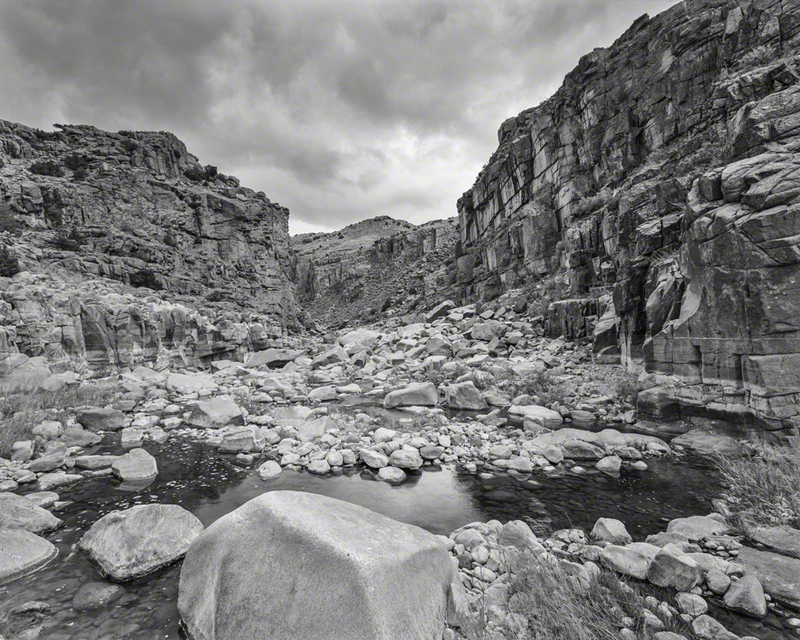 Little Side Canyon on Fremont Canyon below the Bridge. 2001. Fremont Canyon Power Plant from the Rim. 2001. The Devil’s Gate in Winter. 1997. 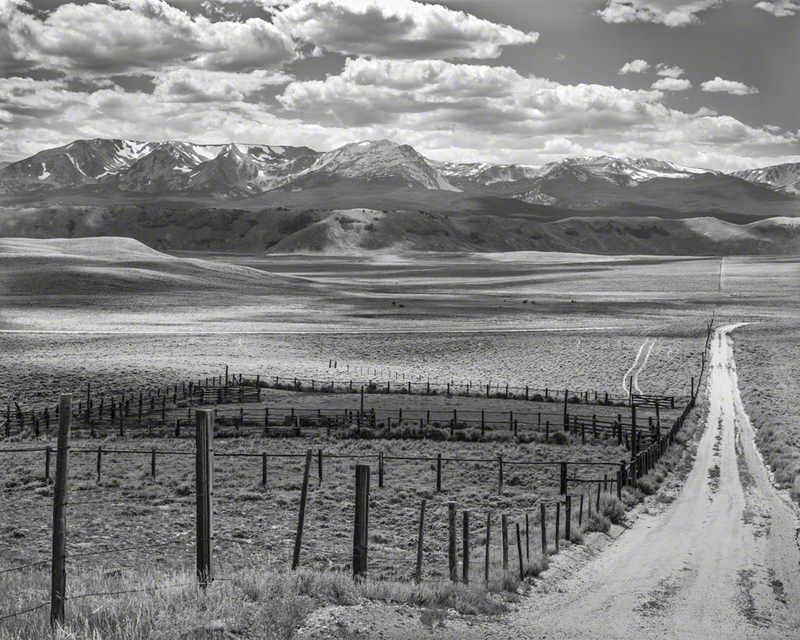 The Monuments at South Pass - looking West across the Divide, Fremont County, Wyoming. 1997. 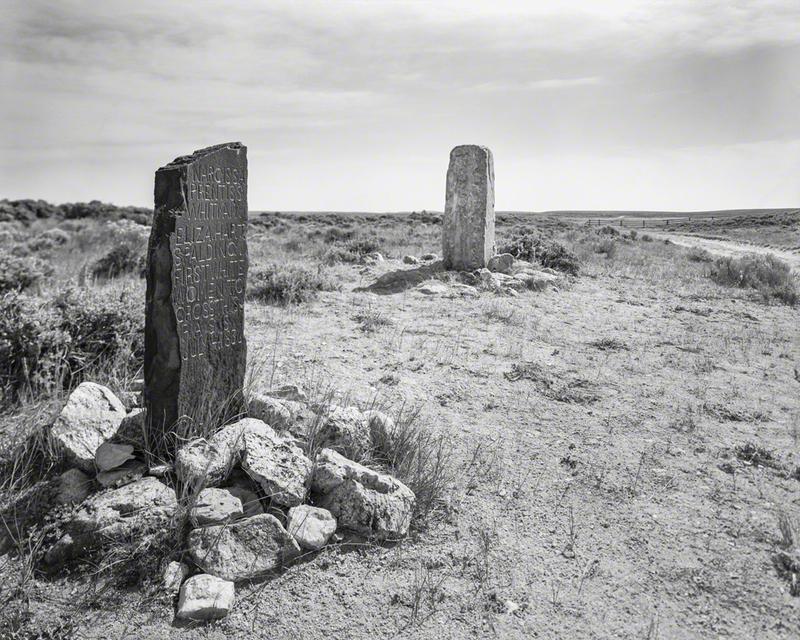 The Monuments at South Pass - looking Back East, Fremont County, Wyoming. 1997. 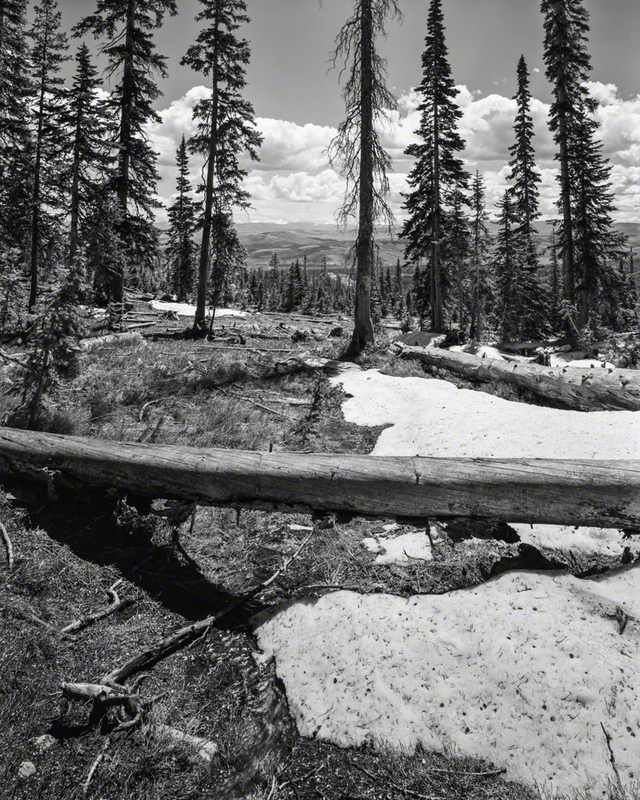 Within a few years, I had a significant collection of images in hand and I began to work on an essay and to look for a place to show the work. The Museum of Nebraska Art in Kearney agreed to host a one-person exhibition that I titled The North Platte Project in the early months of 1998, to coincide with the spring sandhill crane migration. But then in May of 1997 tragedy stuck when Katherine was diagnosed with brain cancer and given a prognosis of less than a year to live. Our lives were upended. My inclination was to tell MONA there would be no way I could complete the work for the exhibition. There were just too many other things to deal with. Katherine wouldn’t hear of it. She insisted I go through with my promise. And she accompanied me on that summer’s trip upriver, our last adventure together. In early January of 1998, I had a group of forty large prints and the essay ready. The work had been framed and MONA’s curator had kindly agreed to drive to Lincoln to pick it all up. But by then Katherine was bedridden and I knew she wouldn’t live to see the work on display. I unwrapped each framed print and took them one by one to her bedside. I held each one up for her to see. She lost her sight a few days later and died on January 17th just before dawn. Katherine had asked to be cremated. And she asked that we remember her each spring when the cranes are here, in memory of all the good times we had when Sean Patrick, Seamus Owen, and Eileen Anne were children and we took our pilgrimages to the river to see the majesty of the migration and to feel how small we humans really are in the face of such big things. 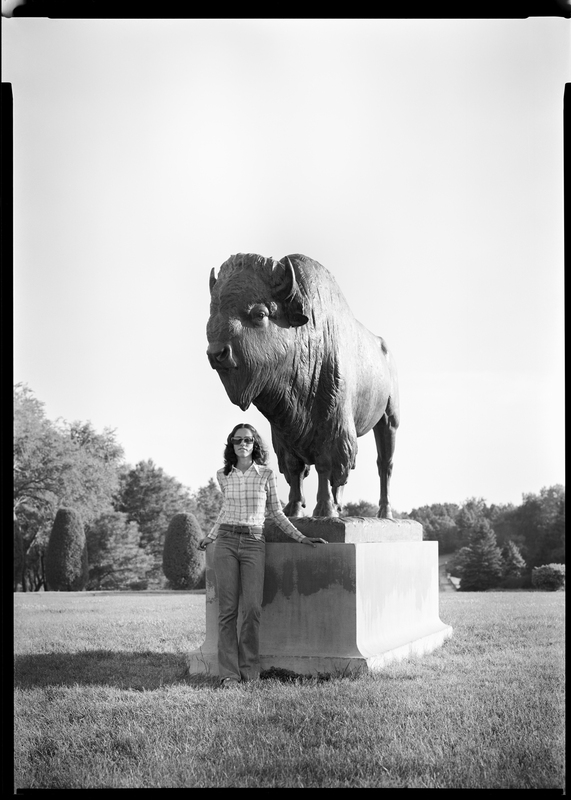 On the first day of spring at dawn that year a group of family and close friends took Katherine’s ashes to a viewing blind at Audubon’s Rowe Sanctuary just east of Kearney on the central Platte. After the birds had left their roost we went to the bank and I committed her ashes to the river. That was a very hard thing to do. 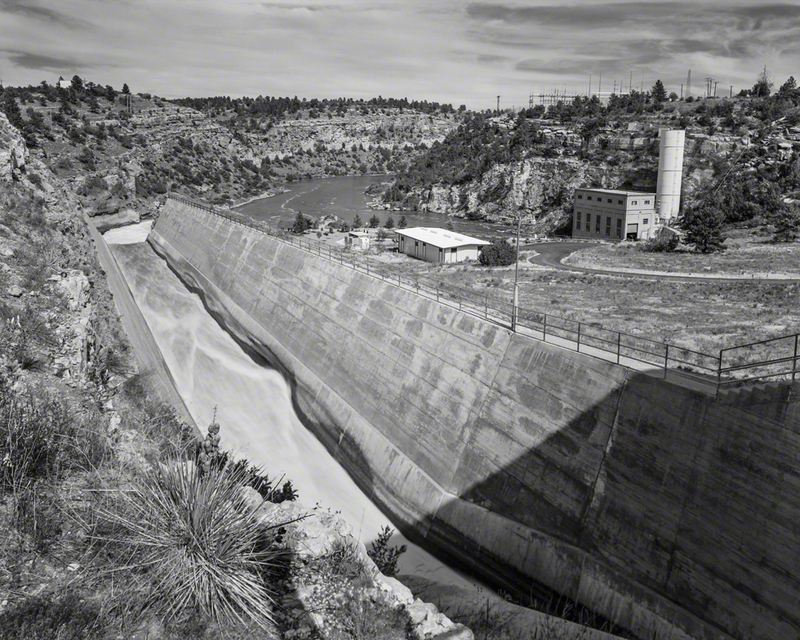 That afternoon some of us went to MONA to see The North Platte Project photographs on the walls. 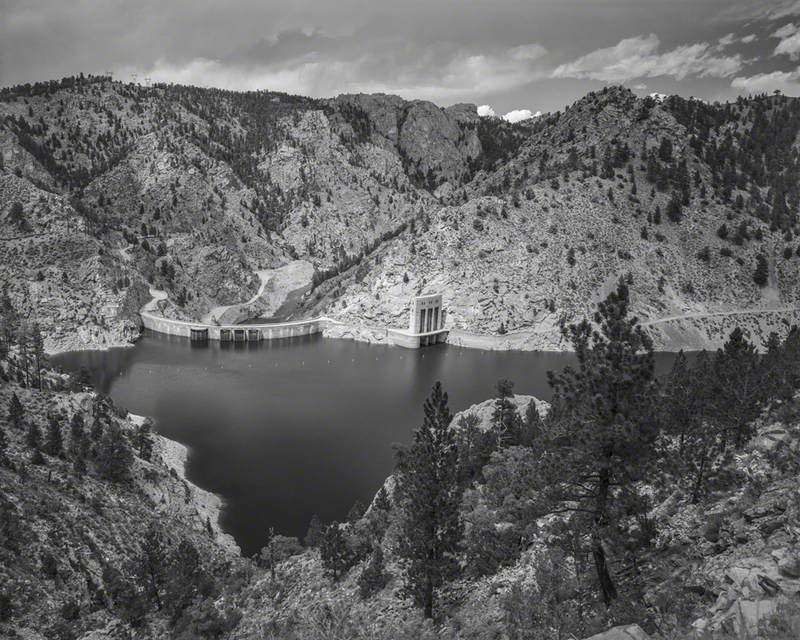 Kortes Dam and Power Generation Plant - on the North Platte, Wyoming. 1994. 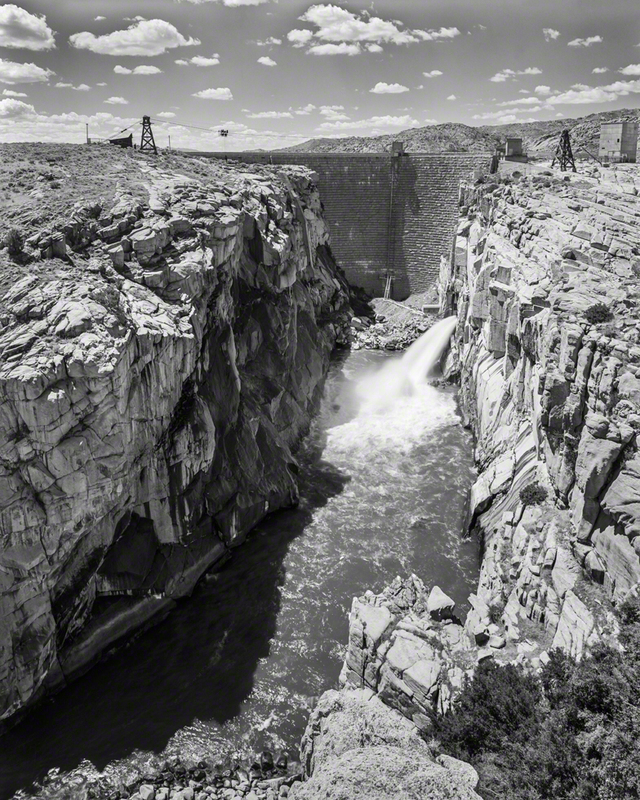 Seminoe Dam on the North Platte River - Carbon County, Wyoming. 1999. 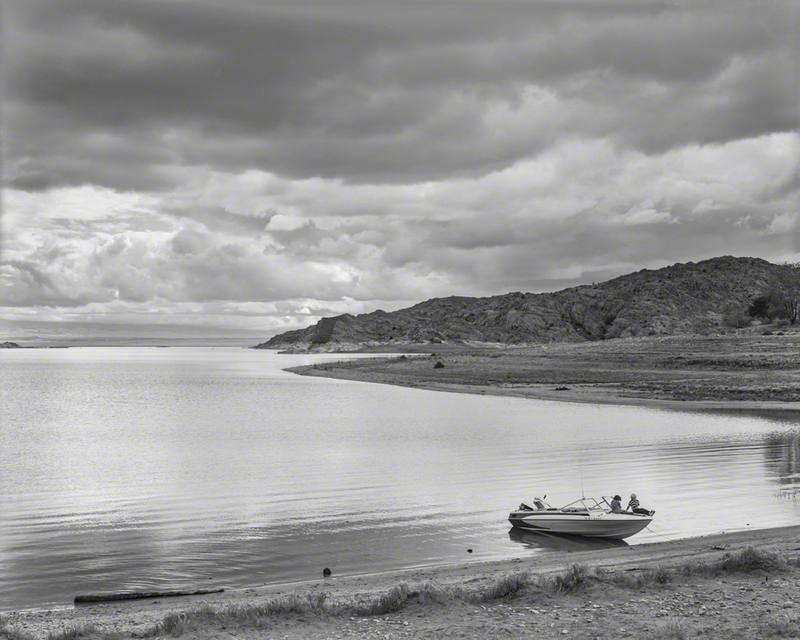 Seminoe Reservoir - 1/2 Mile above the Dam, North Platte River, Wyoming. 1994. Seminoe Reservoir Looking towards the Dam. 1999. Boats Headed Upstream on Seminoe Reservoir. 2001. 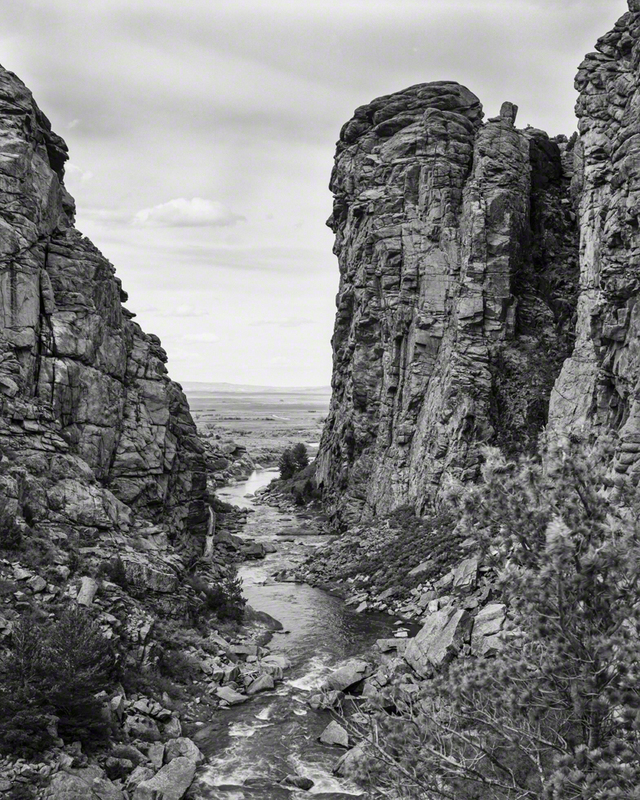 The Big Bend at Bennett Peak on the North Platte in Wyoming. 1998. 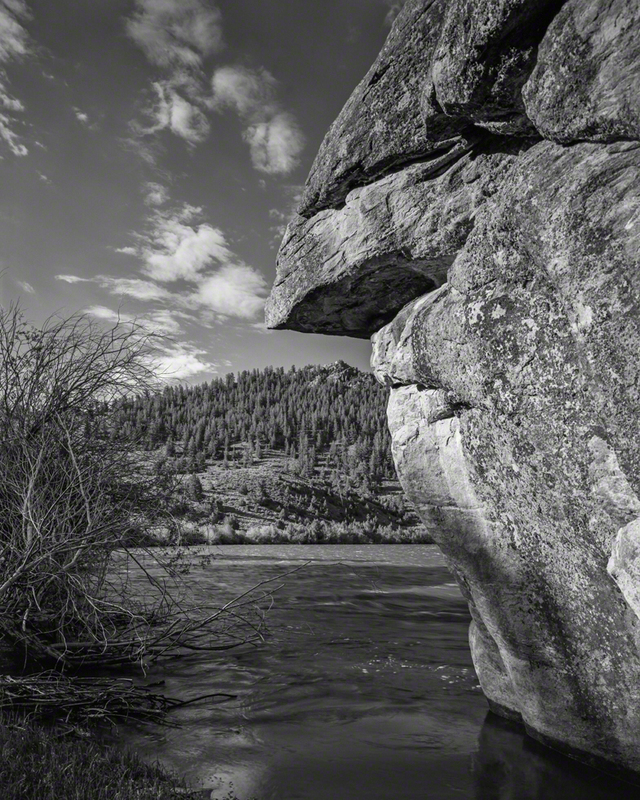 Granite Extrusion near Bennett Peak, Wyoming - North Platte River. 1995. 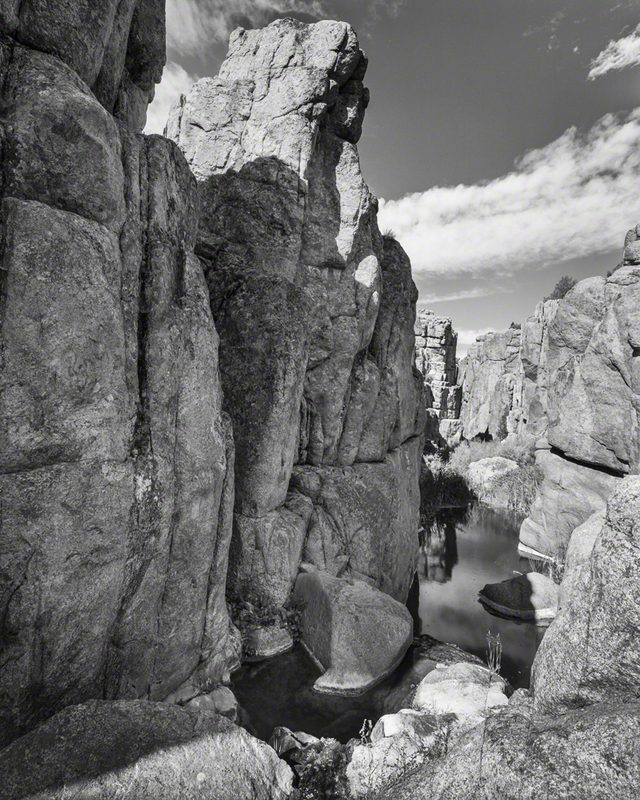 The North Platte from Atop the Granite Extrusions at Bennett Peak, Wyoming. 1998. The Park Range from the North Park Valley, Jackson Co., Colorado. 1998. 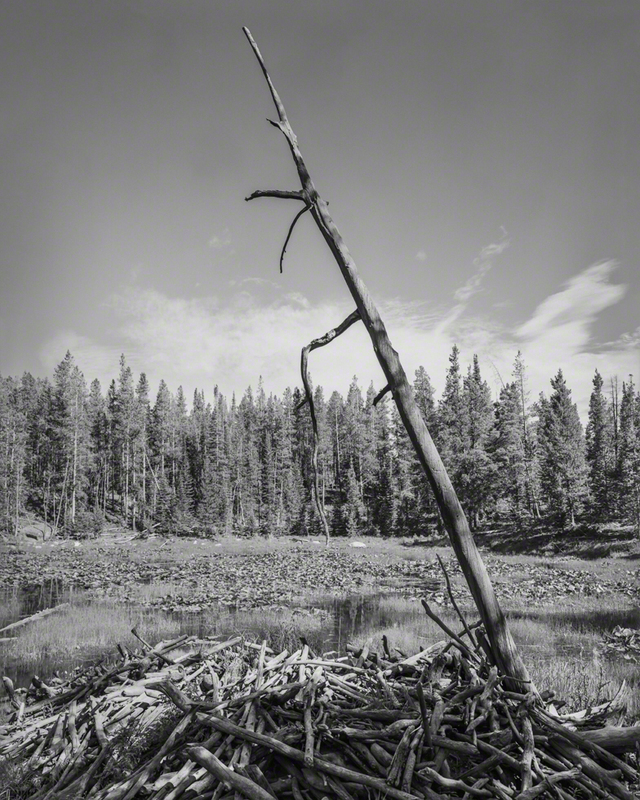 Beaver Lodge - North Park Range - Mount Zirkel, Colorado. 1994. 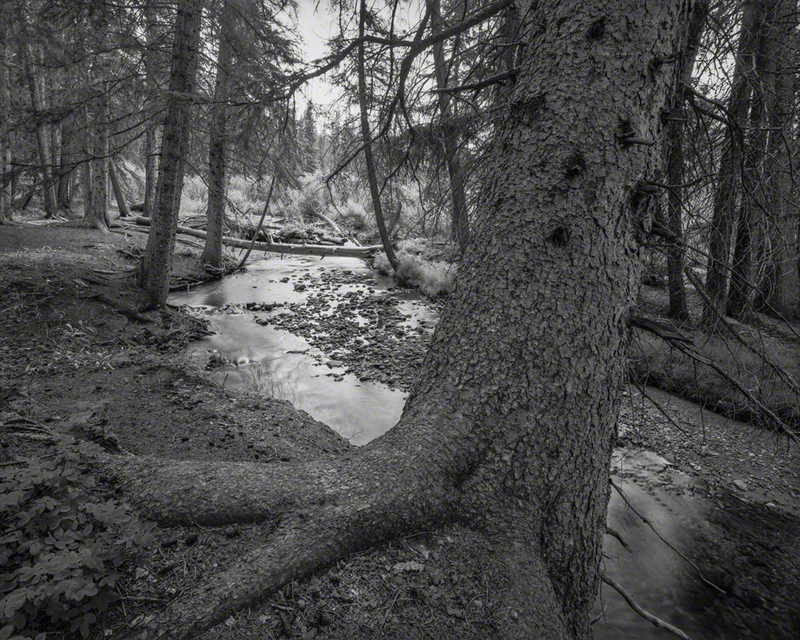 Deadfall on Chedsey Creek - Four Miles from the Divide, Colorado. 1997. 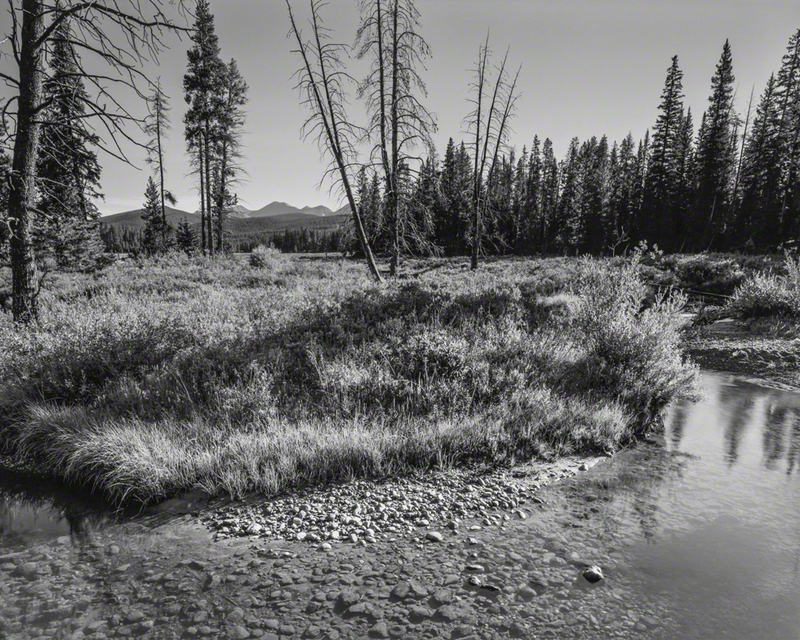 Willow Creek near Troublesome Pass in the Rabbit Ears Range. 2001. 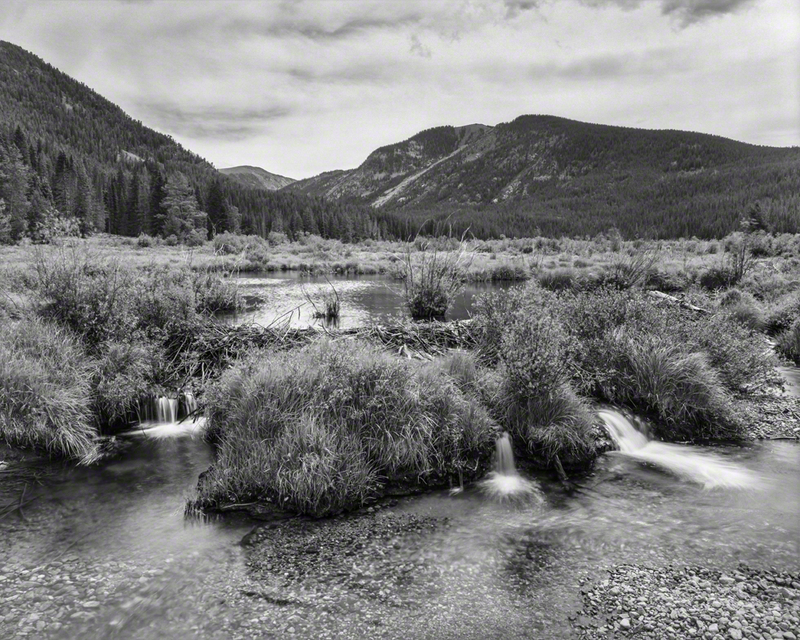 Boulder Field on Chedsey Creek - Routt Nat’l. Forest, Colorado. 1997. South Fork of the Michigan River in the Never Summers. 2001. 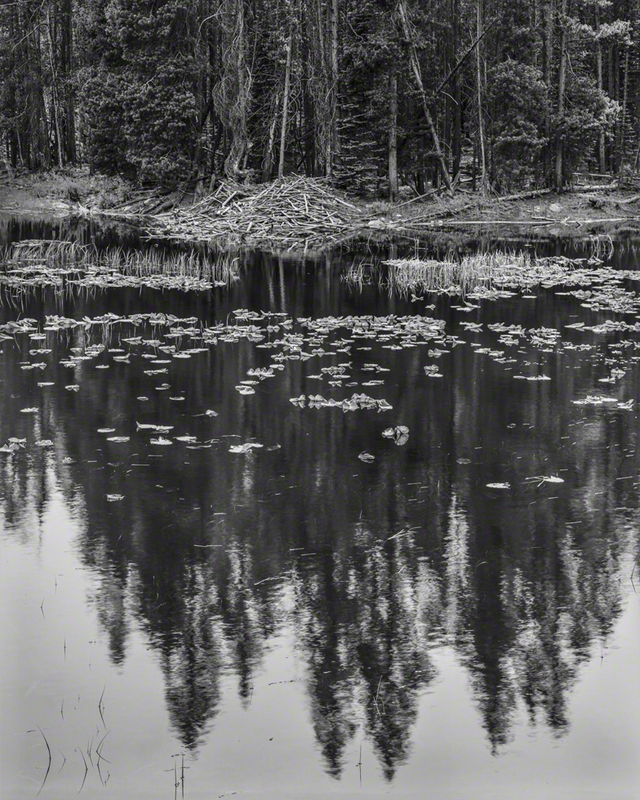 Beaver Pond up near the Divide - Mount Zirkel Wilderness, Routt Nat’l. Forest, Co. 1996. 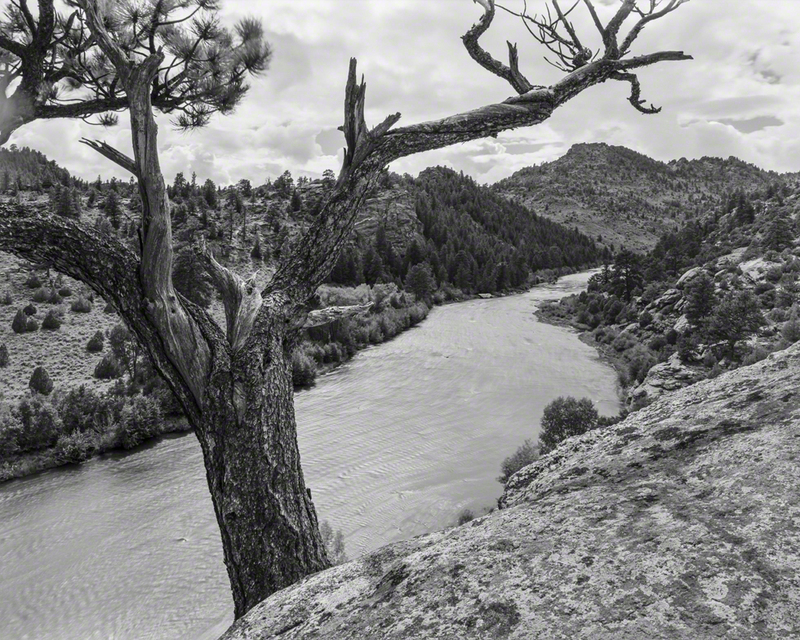 A Bend through a Pine Grove, Illinois River, Colorado. 1999. 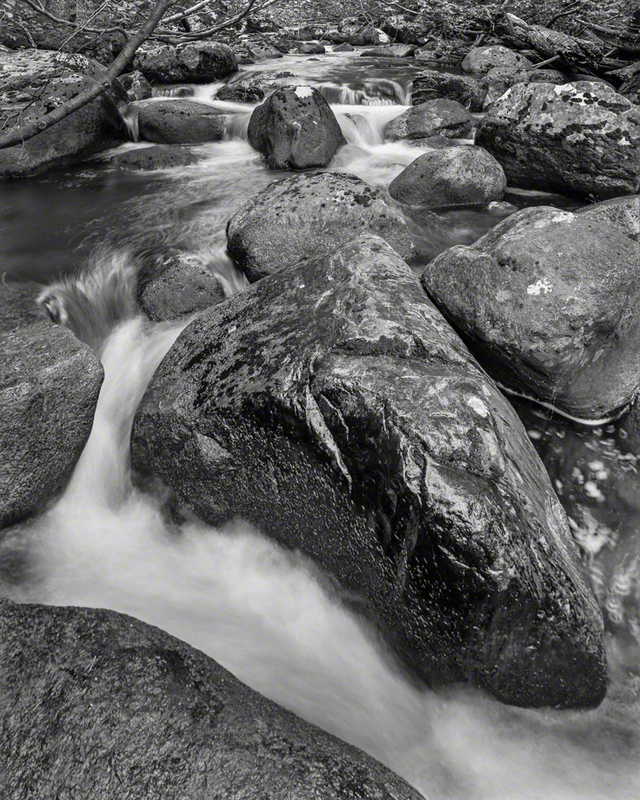 Split Rock Falls on Jack Creek, Routt National Forest, Colorado. 1999. 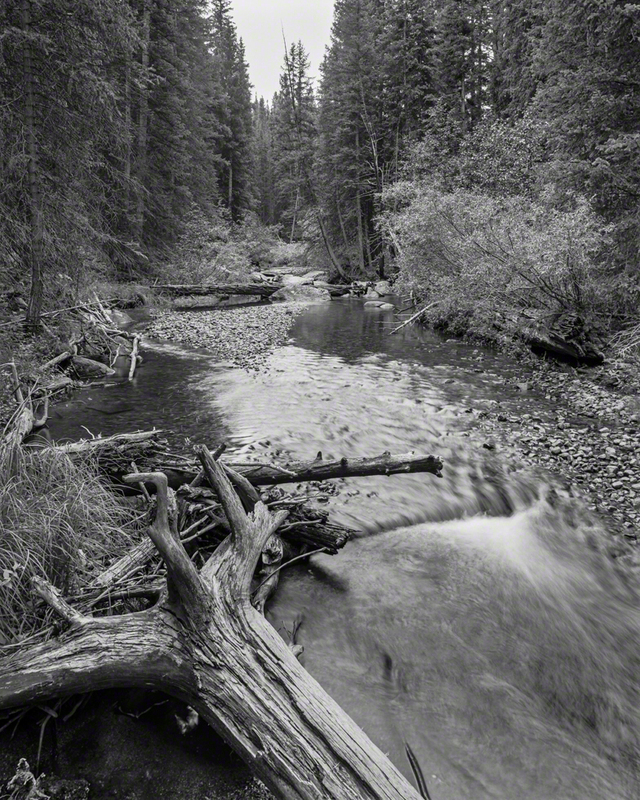 Little Grizzly Creek, 10,000’ up – Near Buffalo Pass, Jackson Co., Colorado. 1998. 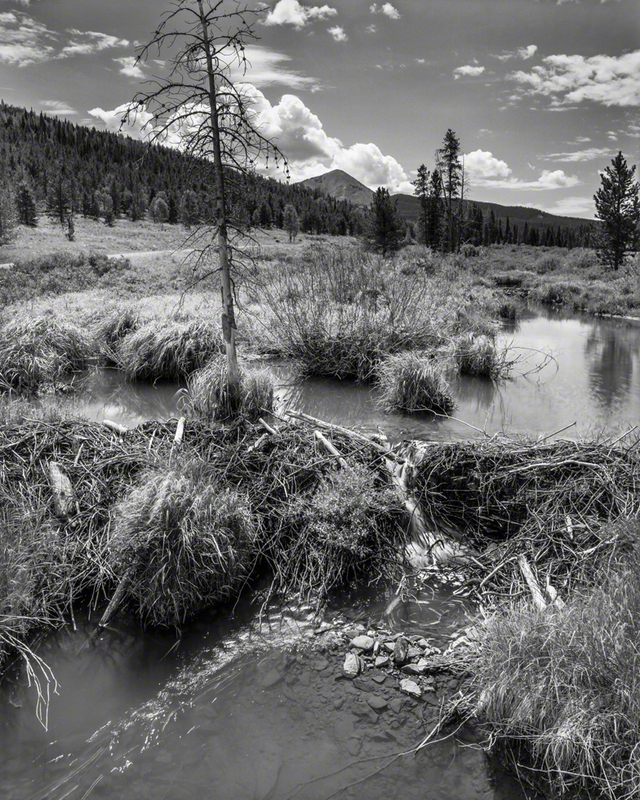 Beaver Dam and Pond on Silver Creek, Routt National Forest, Colorado. 1999. Across a Beaver Pond on the Illinois River to Radial Mountain. 1999. 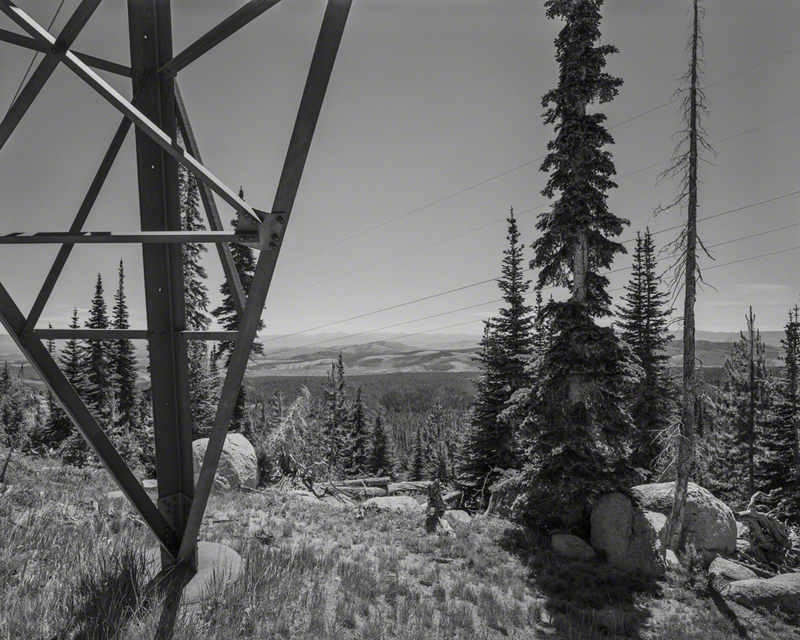 High Voltage Power Transmission Line - Near Buffalo Pass - Park Range, Colorado. 1994. 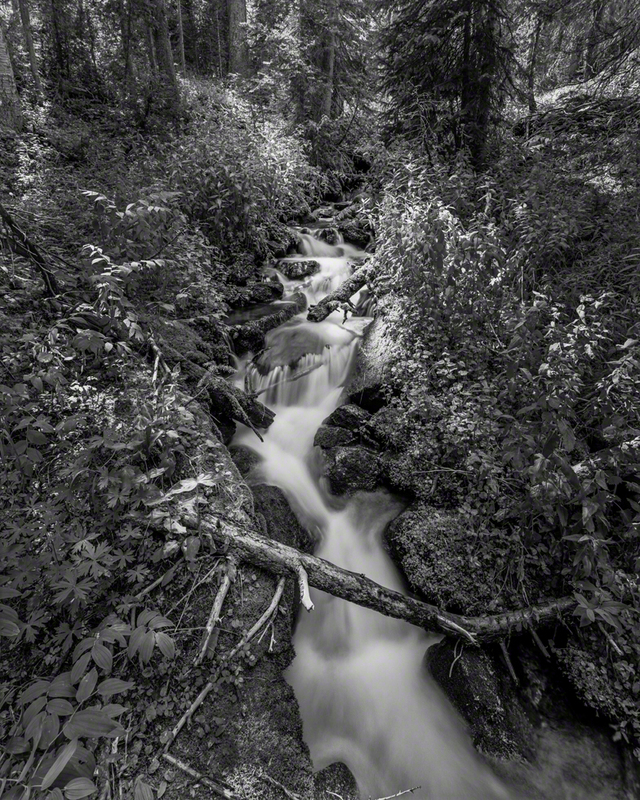 Snow Melt in the High Country above North Park, Colorado. 1995. 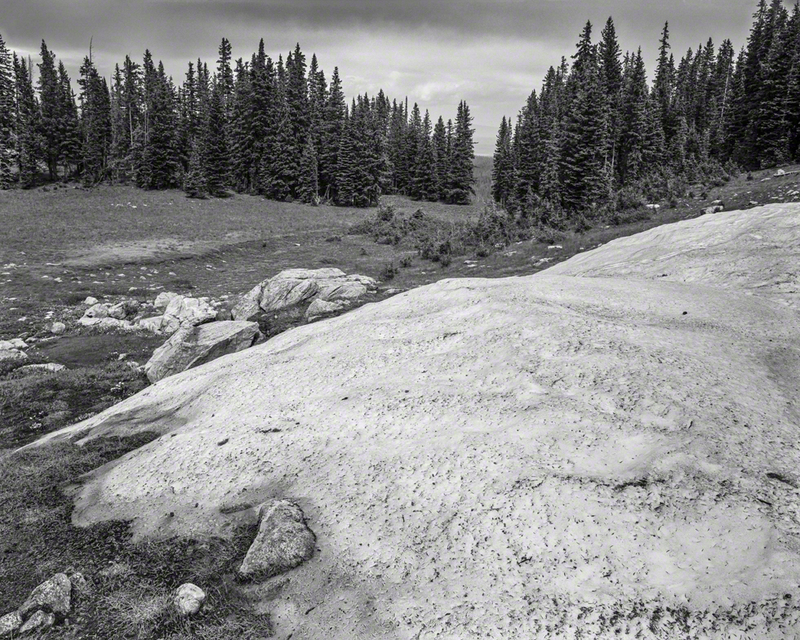 Summer Snow Bank at Buffalo Pass, Routt National Forest, Colorado. 1997. 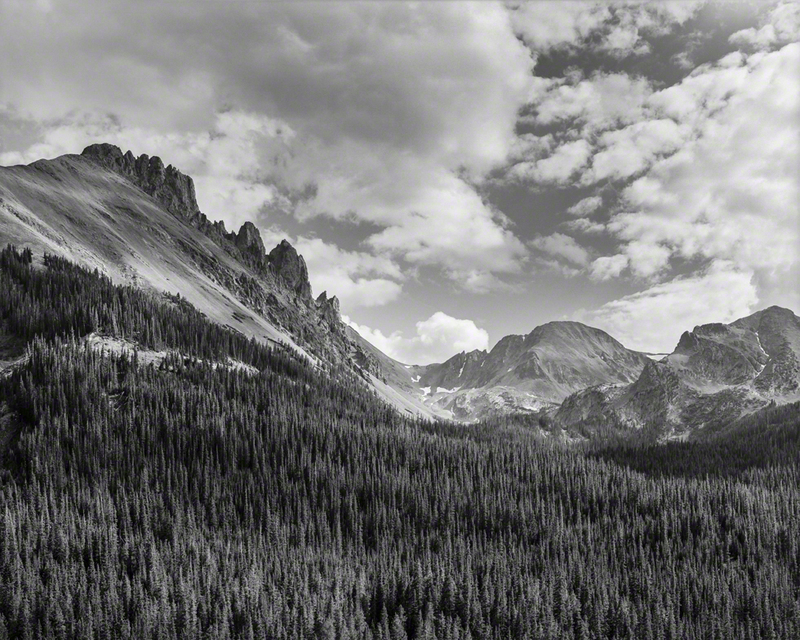 Nokhu Crags in the Never Summers, Colorado. 1999. Nokhu Crags from Cameron Pass. 1999. 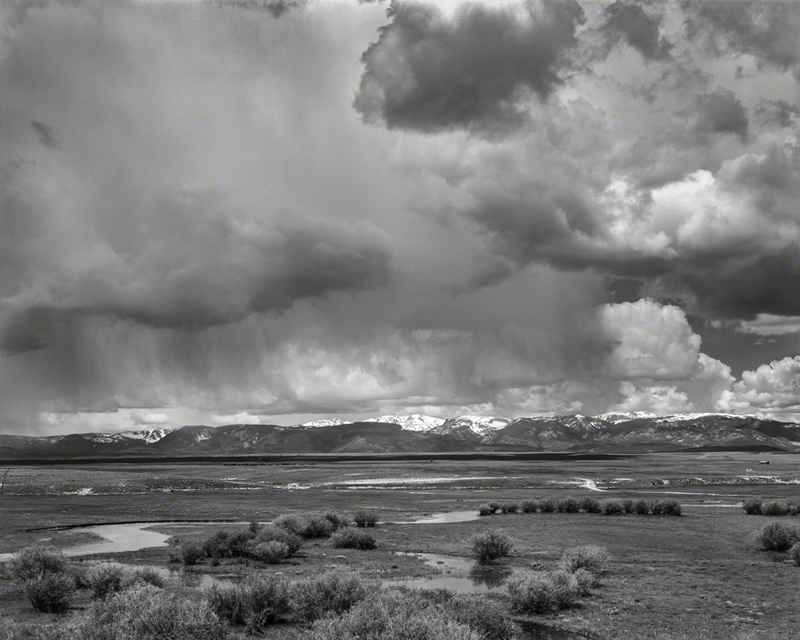 Across North Park to the Mount Zirkel Wilderness, Thunderstorm Brewing. 1999. 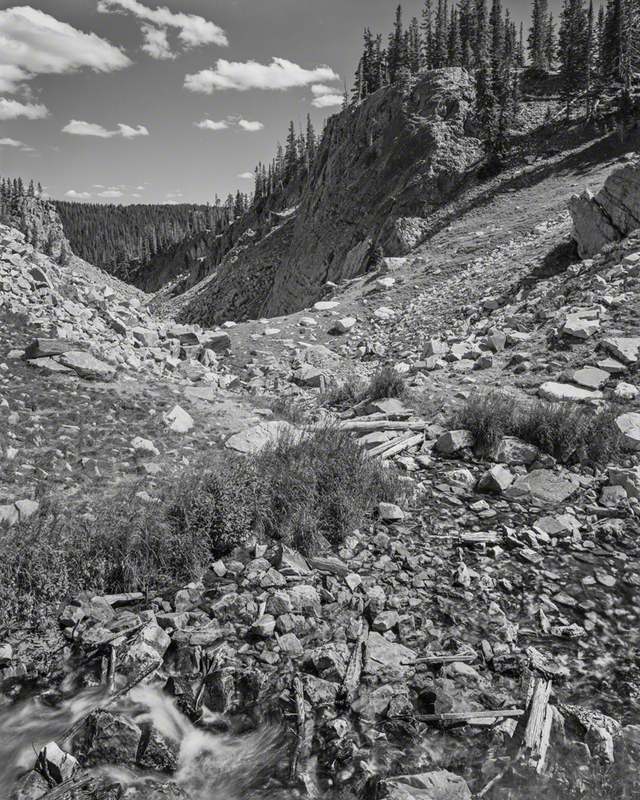 French Creek Headwaters at 10,000 ft., Below Medicine Bow Peak/Lake Marie, Wyo. 1997. 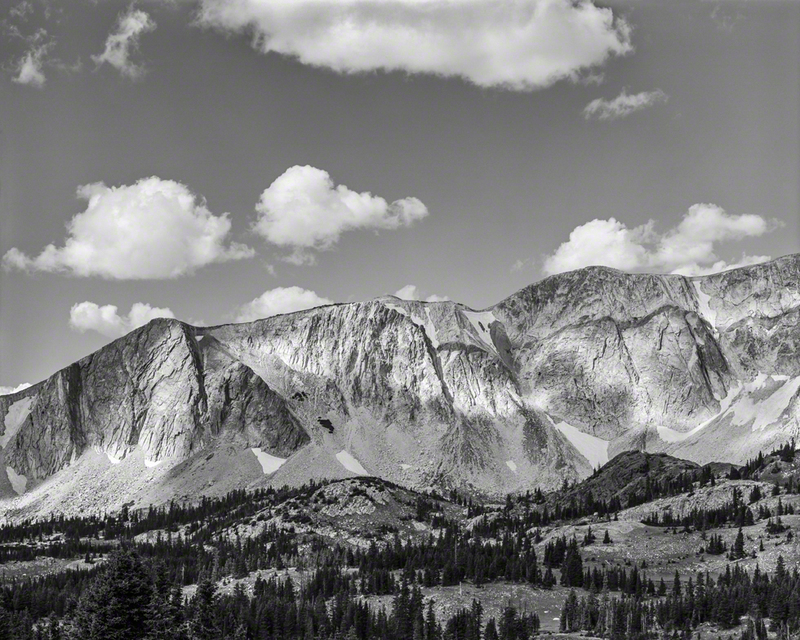 Mountains & Clouds on Medicine Bow Pass. 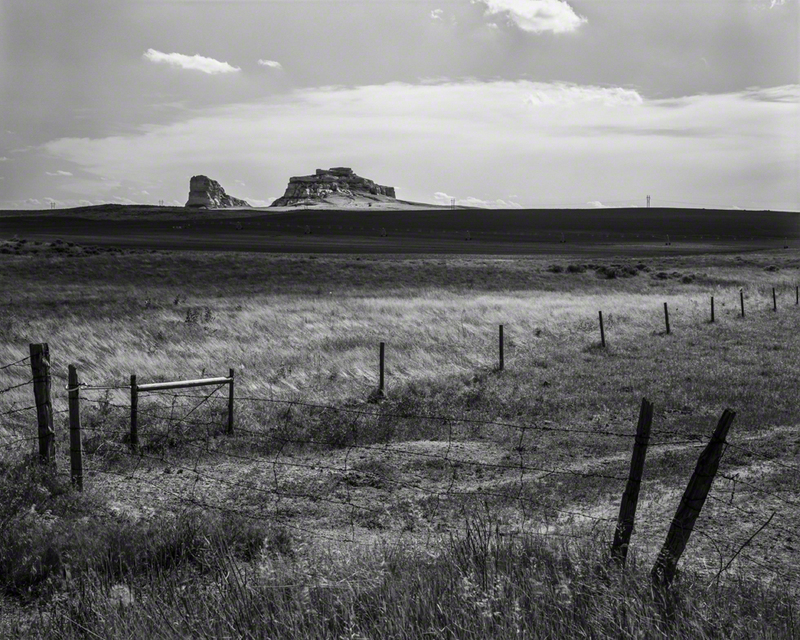 Carbon County, Wyoming. 1997. 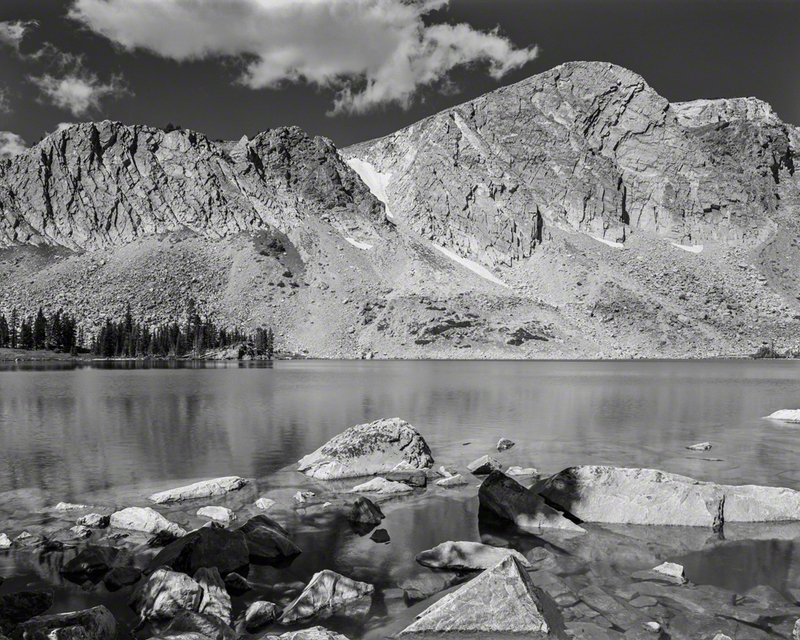 Medicine Bow Peak from Lake Marie - Carbon County, Wyoming. 1997. 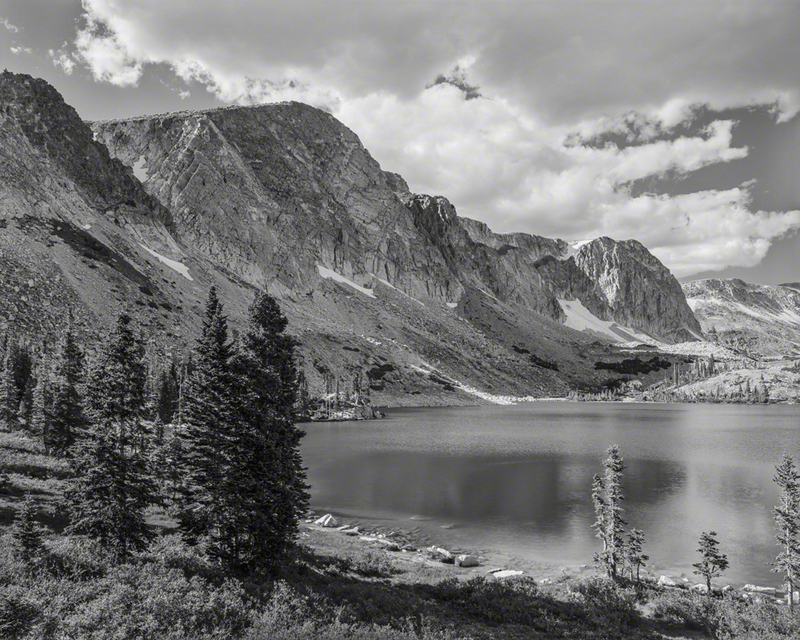 Across Lake Marie to Medicine Bow Peak - Carbon County, Wyoming. 1999. 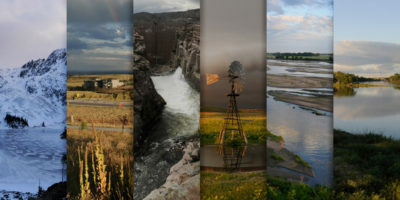 In 2010 after finishing our documentary about the Great Plains, my partner Mike Forsberg and I decided to begin the Platte Basin Timelapse project. We went looking for funding and for places to set up our cameras. Our first two systems were installed in late February of 2011 at Rowe Sanctuary on the tower and just below on the bank – very near the location where Katherine’s ashes joined the river all those years before. It seemed to me a fitting beginning. In the spring of 2017, I celebrated forty-five years living and working and telling stories up and down this watershed. This is now unquestionably my home. But I do have to say that for me the entire watershed has taken on an even more sacred and very personal quality. After Katherine was gone I continued to make photo trips. I’ve taken Patrick and Eileen, my brother Tom and my paramour Lynne Ireland to see where the water comes from. And I took Mike Forsberg up river to see some of my sacred places that we now show in our collection of time-lapse views. 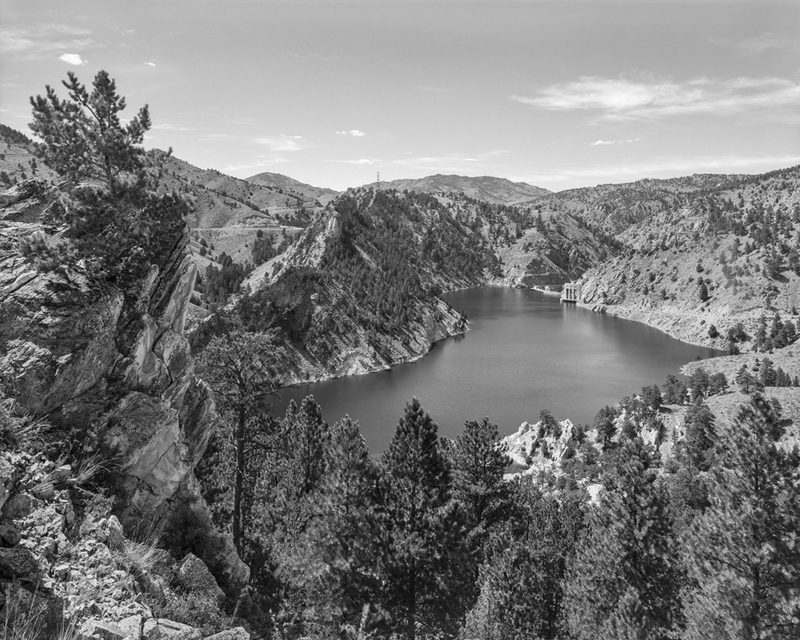 Today the Platte is managed under a cooperative agreement between the three states, the federal government, and representatives from environmental and conservation groups. They are using the concept of adaptive management to make decisions, sticking with what works and letting go of failed processes. This approach is rare and exemplary in our nation. 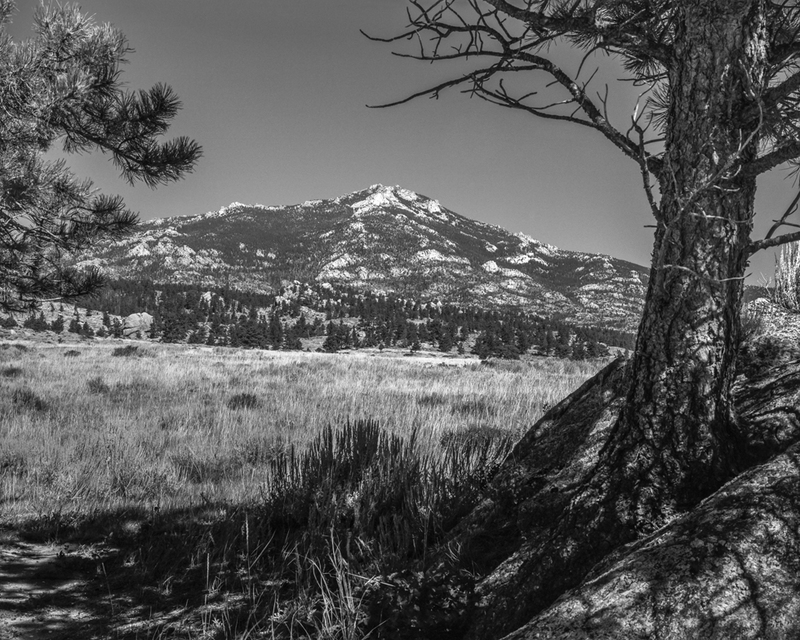 Yet there continue to be important questions unfolding for us to deal with as we struggle to determine or respond to the Platte’s evolving future. If a corporation can be a “person” in the meaning of the law could a river be considered a person too? How would that work? And who would be able to speak and advocate for the river? All living things are related through their need for water in order to survive. But only we humans make determinations that can completely alter the natural world. We, most of whom have come here from afar, have dispersed through our continent taking everything that we determined to have value, calling those things “natural resources” and using them to build a remarkably complex and productive society. We are standing outside the circle and the ceremony is broken if we can’t or won’t find our way back in. Katherine at Pioneers Park, Lincoln, Nebraska. Summer 1972. 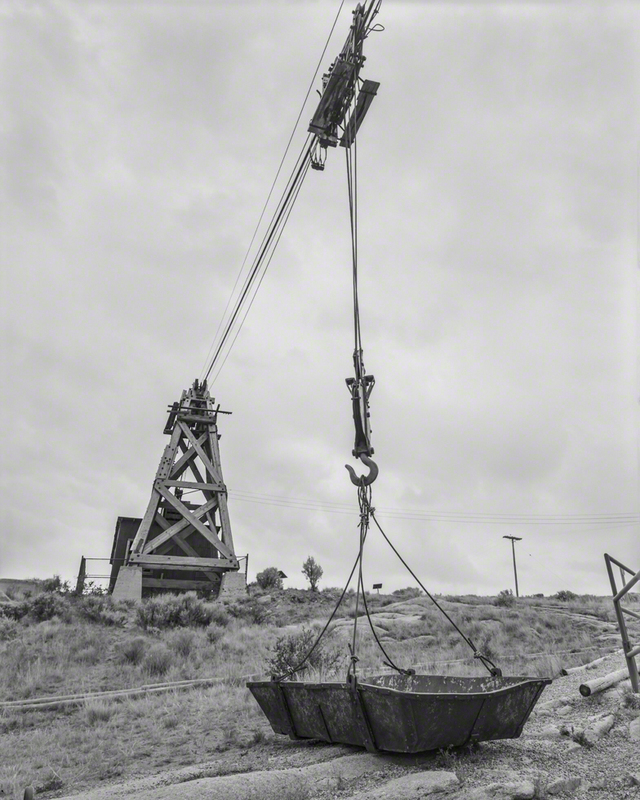 The above collection of 81 photographs includes the original forty that were shown first at MONA twenty years ago in 1998. 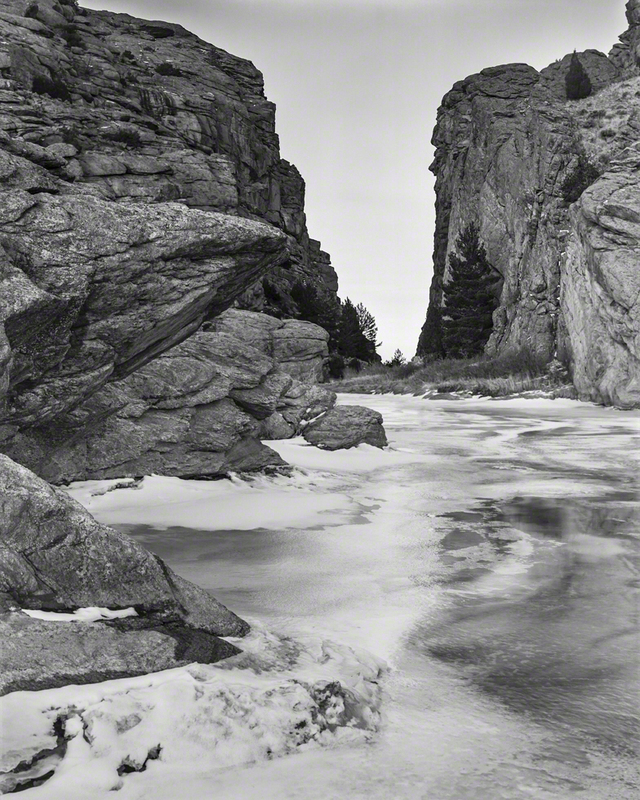 An expanded set of 55 prints and essay was exhibited at the Great Plains Museum in Lincoln and at the Wyoming State Art Museum in Cheyenne in 1999 and 2001. I continued my upstream trips using the 4”x5” camera until 2001. 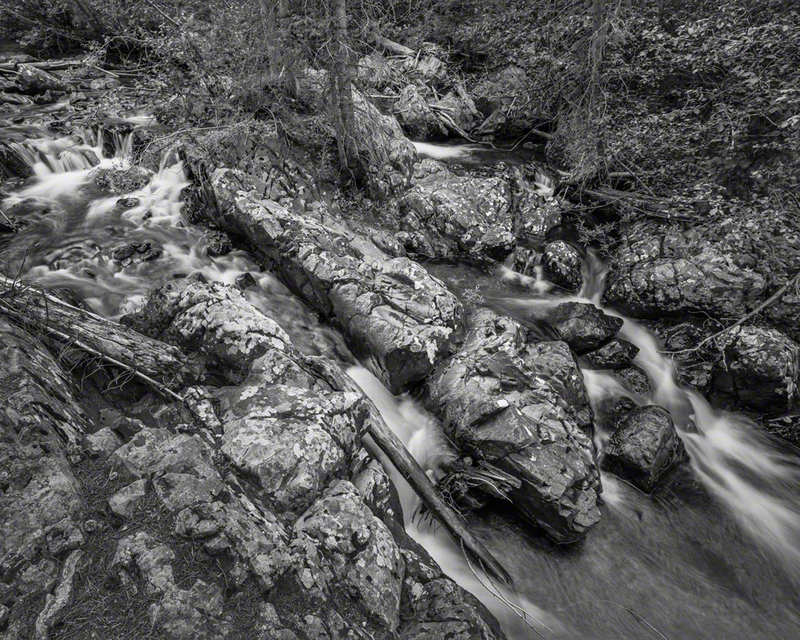 After that, I switched to a 5”x7” and even later began using an 8”x10” as well as color negative film. The North Platte Project images and experiences from the 1990s and early 2000s formed the basis of my contributions and interest as we thought about where and why to place our PBT cameras and what stories to tell in this new way. 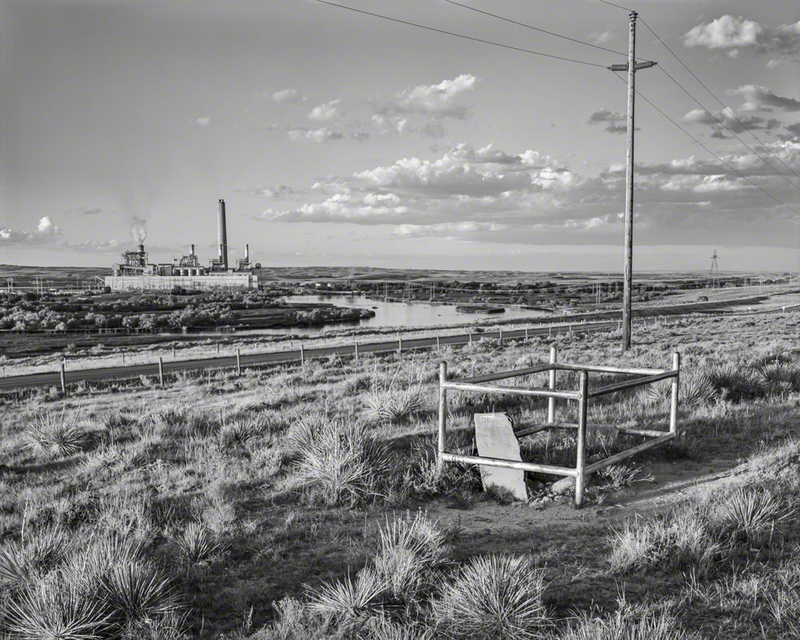 For this 20th anniversary North Platte Project portfolio, I’ve gone back into all my contact sheets and thousands of negatives from the almost decade-long set of 4”x5” camera photo trips. 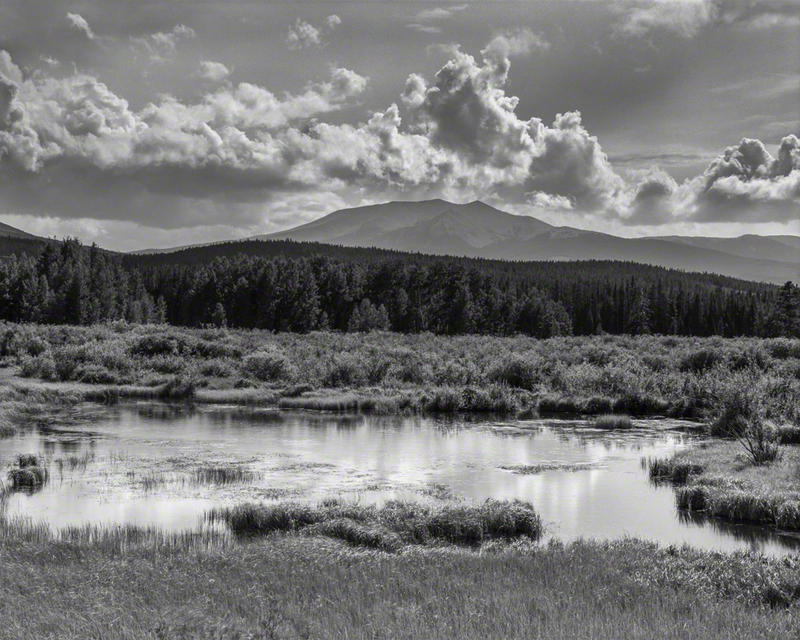 With contemporary negative scanning technology and the resulting digital files and prints, much more image control and tonal subtlety is possible than with the chemical darkroom. This collection includes a fair number of images not previously seen.